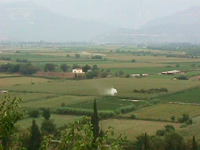 The village of Agnanta is located at the north part of the prefecture of Arta and is at a distance of 87 km. from the city of Arta. It is a beautiful village built at the west side of Tzoumerka into o forest of fir trees with plenty water. It is the seat of the municipality. At the region of Agnanta there are also the high tops pf Tzoumerka. The region if famous fow itsa natural beauty and here is developed the mountainous tourism. 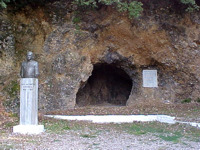 Visit also in the nearby village of Pramanta the cave of Anemotrypa. 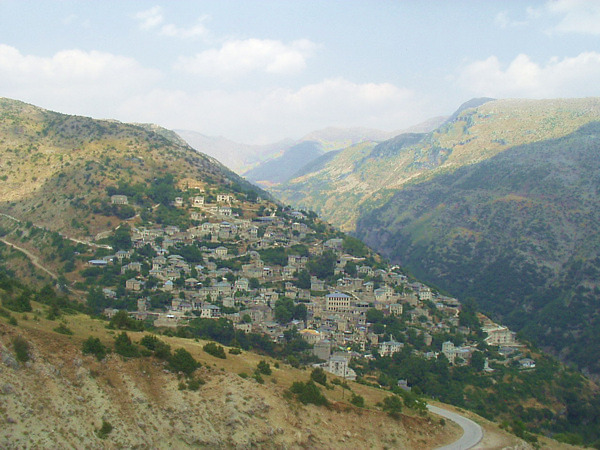 Ammotopos is a rural village of farmers and shepherds built among the mountains of Gkogkomylos and Tsouka. 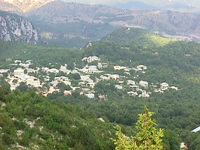 It is the seat of the Municipality of Ksirovouni and is northwest to the city of Arta, at a distance of 10 km. 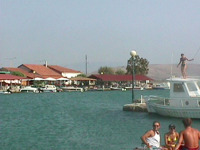 It is a beautiful seaside settlement that is located at the estuary of Acheron river. 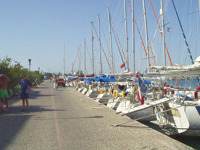 It has an excellent tourist infrastructure with hotels, fish taverns, etc. 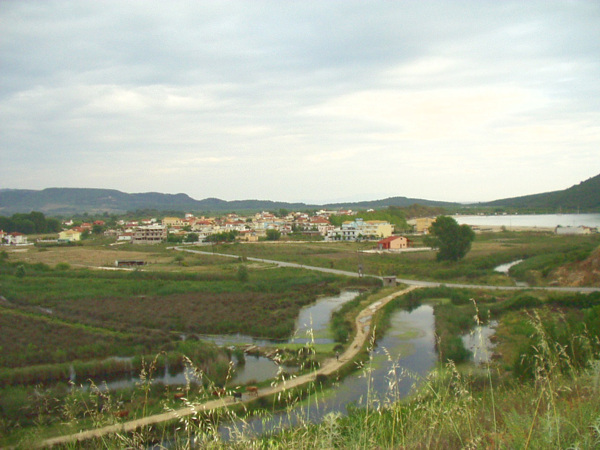 From this beautiful side of the prefecture of Preveza, according to the tradition Odysseus following Acheron river and after Acherousia lake arrived to the ancient colony of Mikines, Ephyra, and the famous Necromancy. In Odyssey of Homer, the witch Kirki advices Odysseus to go to Hades to meet the soul of the seer Teiresias so as to return to Ithaca. So, he came here, to the municipality of Kimmerioi, crossed the forest of Persephone (of high elms and willows) and he found a rock with a cave at the meeting point of Kokytos with Pyriflegethonta and Acheron river. The description of the descent of Oddyseus to Hades and the founds of the excavation, seem to show the same data according to the archaeologist S. Dakaris, professor in University of Ioannina. Hermes led the souls to Hades following the same route. Very close to the archaeological site and the region of today’s village of Mesopotamos there is the amazing beach of Ammoudia, where flows into the river of Acheron. 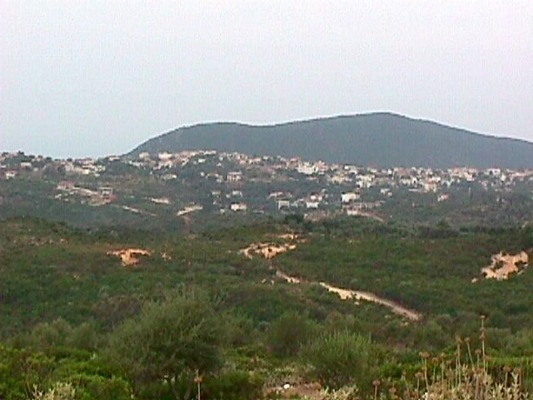 Also, in the region of Fanari there are many siginificant villages and sights. 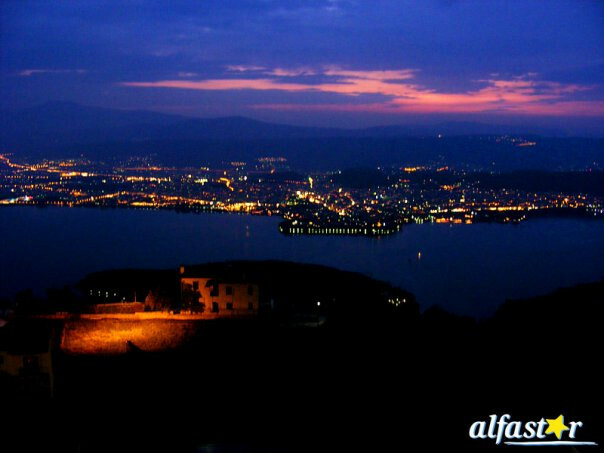 The city of Arta is the capital city of the homonymous prefecture. It is at a distance of 360 km. from Athens and 15 km. 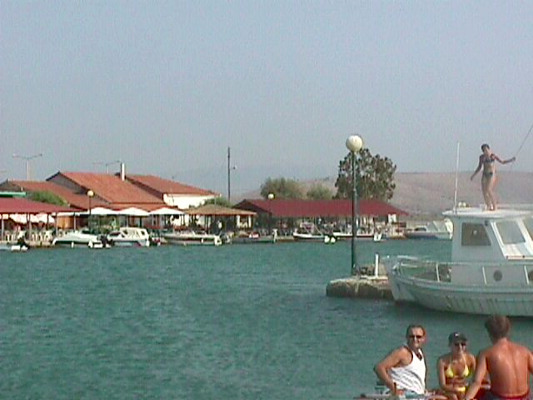 from Amvrakikos Bay. It has a population of 40.000 habitants. 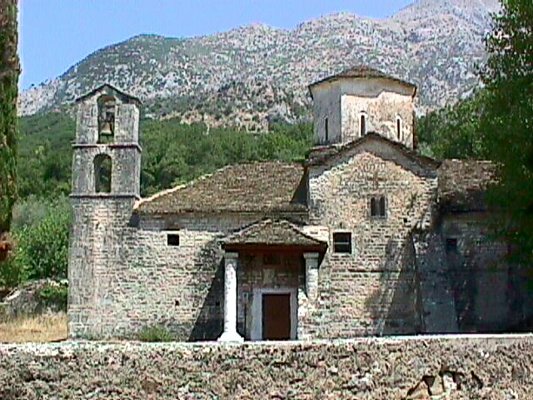 It is built on the ruins of the ancient Amvrakia. The river of Arachthos with its historical bridge surrounds it by its three sides. 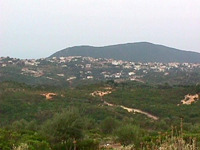 The seven hills of the city are surrounded by olive groves and orange trees and by a rich mainland. It has a long history, over 3.000 years. In 625 B.C. 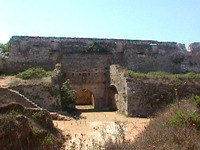 the Korinthioi sent away the native Dryopes from Amvrakia and built walls. In 295 B.C. the Macedonians gave it as a gift to the king of Epirus Pyrros, who brought here the capital city of its state. In this period of time the city was full of significant pieces of art and monuments: buildings, status, temples, paintings and many other works of art. The Romans conquered it in 189 B.C. and after that they plundered it and in 31 B.C. they transfered its population to the ancient Nicopolis. 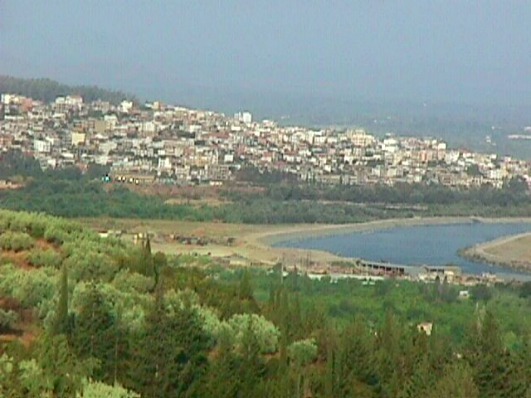 After the destruction of Nicopolis, Arta was rebuilt in the location of today. In 1204 became the capital city of the Despotate of Epirus and was decorated with artistic Byzantine and post-byzantine churches and monasteries by the emperor Michael A’ Doukas Komninagelos. 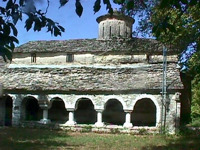 It became the most important cultural centre of Epirus and was characterised as the “Mistras of northern Greece”. The byzantine castle of Komninoi which was built on the ruins of the walls of Amvrakia, is one of the most beautiful byzantine castles. In 1449 Arta was given in Turks and was liberated on 24/6/1881. During the Ottoman period its habitants contributed to the fights for freedom. It was distinguished in the literature and army: Maximos Graikos, Nicolaos Skoufas, Georgios Karaiskakis, etc. During the period of Second World War (1941 – ’44) its habitants offered a lot to the greek army. 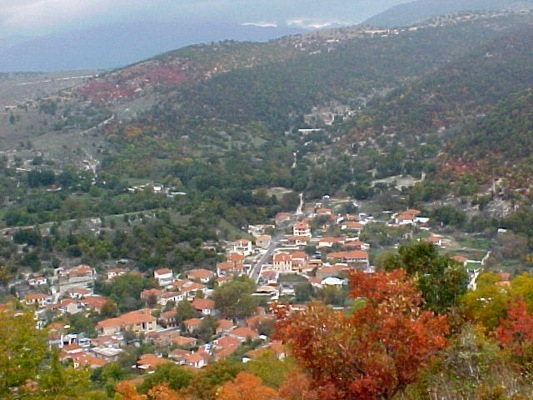 It was the hometown of the general N. Zervas, commander of the national reistance. In the city they were saved many monuments, ancient and byzantine, from the era of ancient Amvrakia and the Despotate of Epirus. Many founds were discovered by the excavations throughout the years. 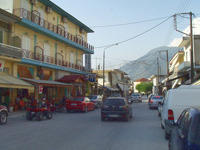 In the city of Arta there are many clubs and assocciations: Skoufas Club, Makrygiannis Club and other cultural assocciations. The historical bridge of the city, etc. Vourgareli (Drosopigi), is located at the historical state of Athamanoi, into a beautiful forest with plenty water. 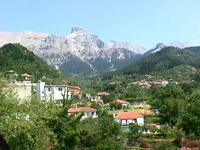 It is a mountainous village, located at a distance of 60 km. 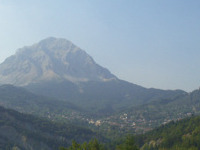 northeast to Arta and is built at an altitude of 800 metres, on the mountain of Tzoumerka. It has also the name Drosopigi. The houses of the village are traditionally stone-builtt, but also modern. Every summer the village has many tourists, because it is a significant tourist resort and has very good tourist infrastructure. The habitants are hospitable, with a long history to the battles of our nation and to religious tradition. 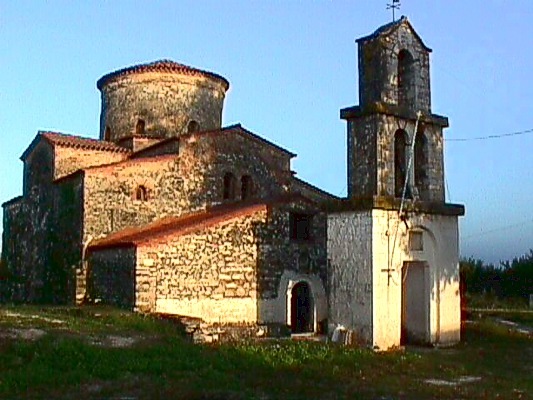 Near the village, at the location of Palaiochori of Vourgareli, there is the Red Church (church of Virgin Mary of Vella) of the 13th century. 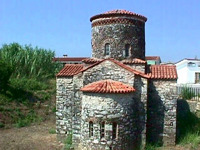 The church was built in 1281 by the emperor Nikiforos A’ and is an excellent sample of the byzantine architecture. 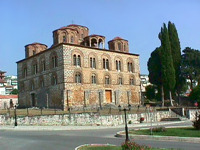 There is also the historical byzantine monastery of St. George which is one of the most important sights of Tzoumerka. 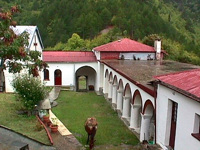 In this monastery there are wall paintings from the 1714. Here waved the flag of the revolution of the 1821 from the leaders of the region. 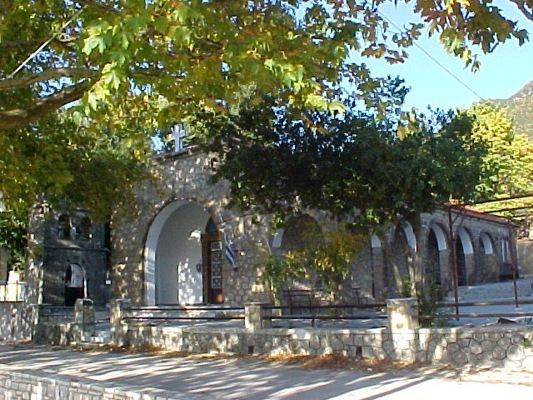 Vovousa the last millenium included five settlemements, Agios Dimitrios, Baitani, Plaka, Agia Paraskevi and Tsiaka which were merged into one. 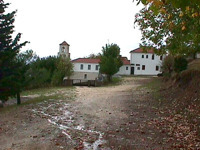 It is a settlement that is located on the bounds of the region of the central part of the National Gorge of Pindos. The village developed a lot when Zagori won its autonomy, during the Ottoman period. 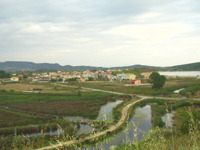 During the cencus of 1871 Vovousa had about 2500 habitants. Later because of the insecurity from the invasions of the Albans, many families had emigrated and from 1824 to 1831 the region had no habitants. The region was inhabited agai after its liberation (1913). In 1943 it was destroyed by the Germans and only the church of St. George was saved. Nowadays, its habitants occupy mostly with logging and stock – farming. 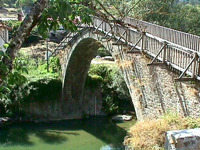 The two settlements of the village are connected with the arch stone bridge which was built in 1748 by Alexis Misios and is one of the most beautiful that there are in the region. Delvinaki is at a distance of 70 km. from the city of Ioannina. 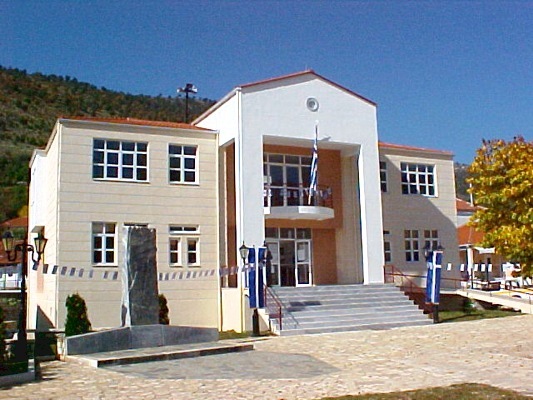 It is the seat of the municipality of Delvianki and has about 2.900 habitants. They are at their majority farmers and shepherds because the region is mostly rural. Delvinaki is built into a forested area, among oak trees, chestnut trees, arbutus trees, plane trees, etc. 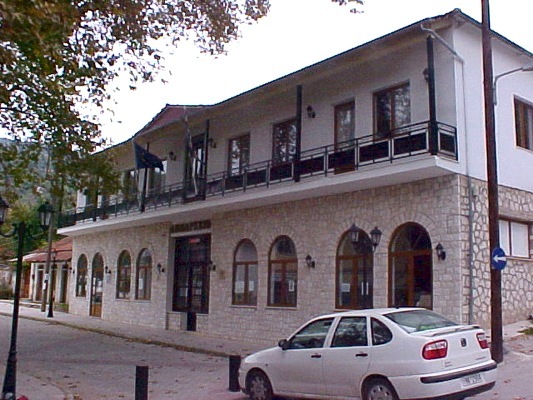 Delvinaki was a commercial and cultural centre because of its location but also of the emigration of its habitants who succeded professionally at abroad and cared for thei hometown, as it happened to many other places of Epirus. Gradually the alive region of Delvinaki was desolated by numbers of emigrants who abandoned the region during the decades of 1920 and 1930, but also during the decade of 1950 and after. 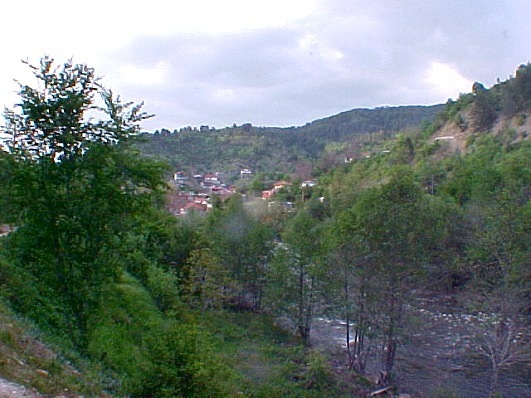 Nowadays Delvinaki is a picturesque village that has preserved its natural beauty. 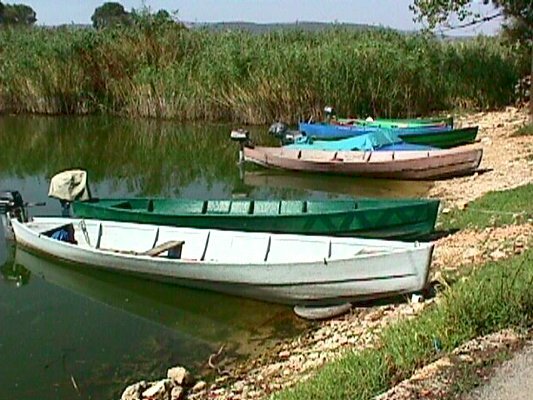 Every year more and more visitors discover the beauty of its natural landascape and the hospitality of the habitants of Pogoni but also a region that has remained unchanged by the tourists and is offered for unique moments and trips. 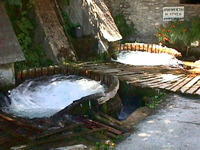 A unique musical phenomenon for the region of Pogoni, but also for Greece generally, is the tradition of the polyphonic song, which according the musicians its roots are very old. The habitants of Delvinaki love the polyphonic song, have choirs and every year organise events for the polyphonic music with large audience and participatios. On the first days of August is organised at the municipality of Delvinaki the International Festival of Polyphonic Song. 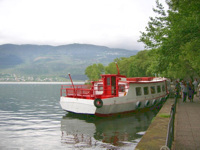 Delvinaki has a librabry – gallery and many significant churches that you can visit. 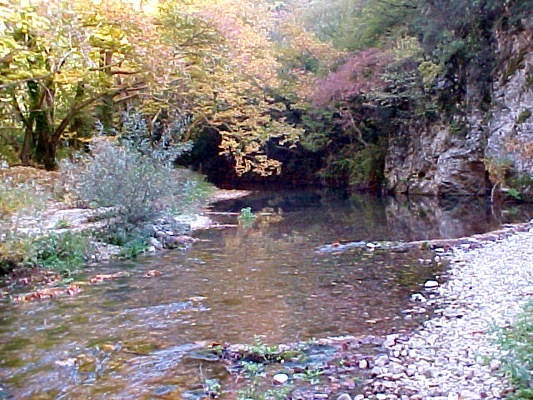 The nearby valley of Gormos river is offered for beautiful walks. 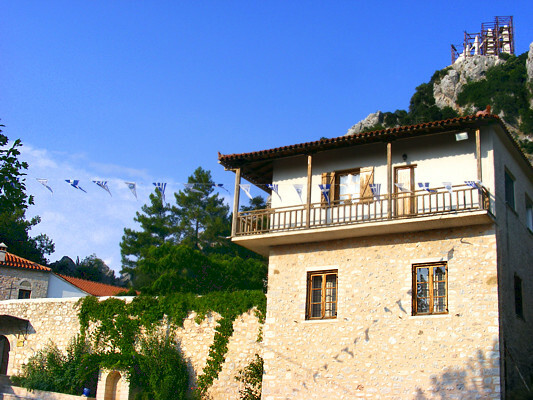 For your stay at Delvinaki, there are many traditional guesthouses and rental rooms, but also many restaurants and taverns, where you can taste traditional dishes of Epirus. Igoumenitsa is a nice coastal city and capital city of the prefecture of Thesprotia with 7.000 habitants. It is at distance of 480 km. from Athens and 470 km. from Thessaloniki. 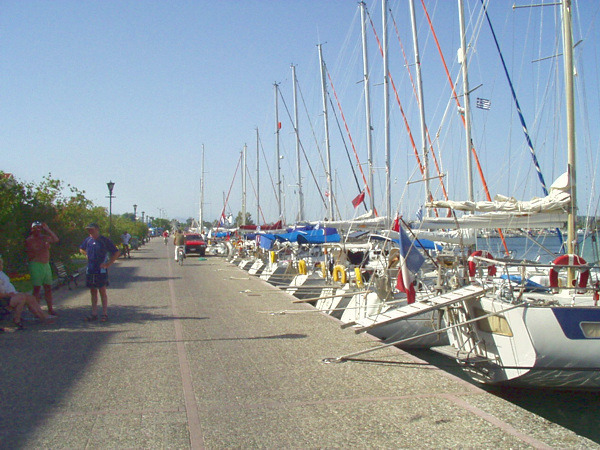 Its huge port is fully protected and it is an intechange of connection with other ports of Greece as well as of Adriatic. It is an important seagate for the country, to Europe. 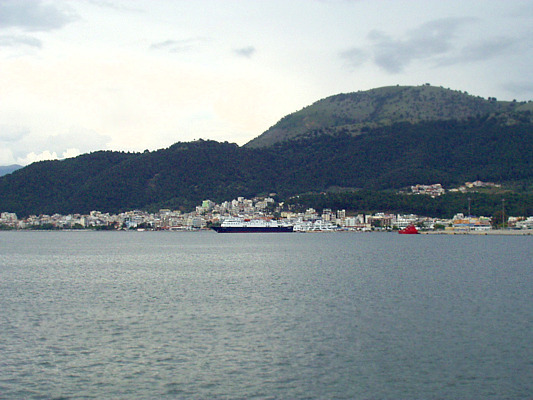 Igoumenitsa is connected with the rest Greece and not only, through Preveza and Ioannina. It is a transportation centre and is developing continuously. 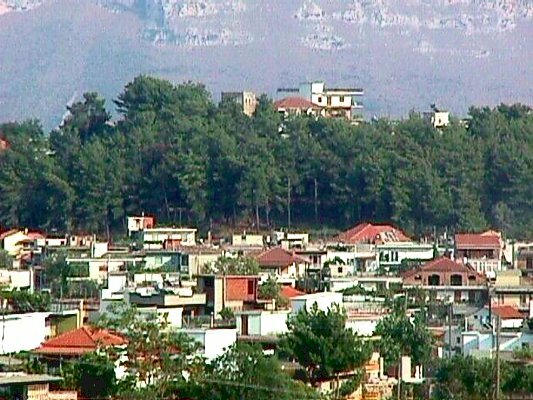 It will be more developed after the completion of Egnatia Highway, the road that connectes Epirus with Thrace, based on the ancient Egnatia Highway of the Romans. 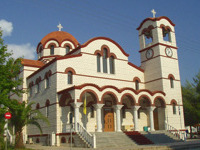 Igoumenitsa owes its name, according to the tradition, to an abbot of a monastery of the region. 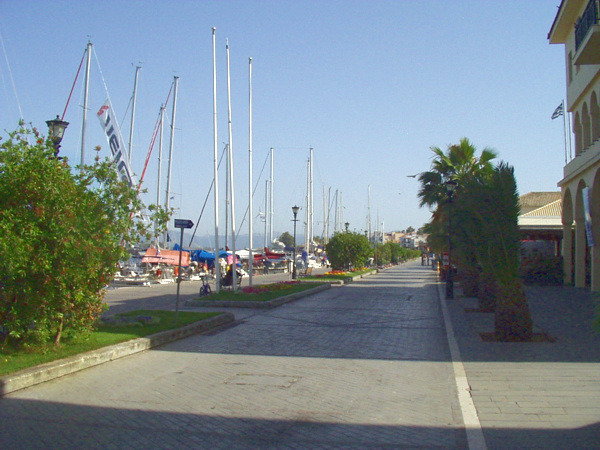 Thucydides names its port “Erimos port”. 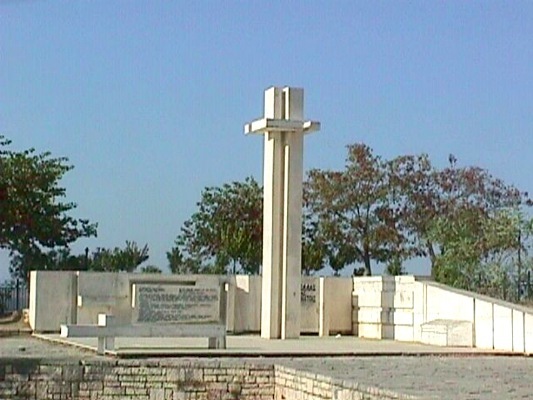 During the Fisrt Balkan War Igoumenitsa was liberated by the Turks (1913). Until the year of 1936, when became the capital city of the prefecture of Thesprotia, Igoumenitsa was a little seaside village. In 1944 it was totally destroyed by the German army that left the country and it was rebuilt. 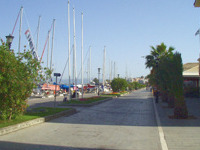 At the decade of 1960 the port was constructed and connected to Italy by boat. This was the motivation power for the development of the city. 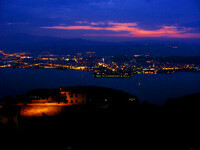 The beauty of the city, the combination of the mountain and the sea excite every visitor of the region. 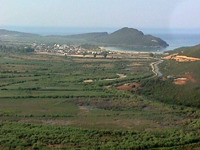 The large beaches of Drepano and Makrygialos, of 7 km. length, are a place of relaxation for the habitants and the tourists at their crystal clear water. The community of Theodoriana is at a distance of 81 km. 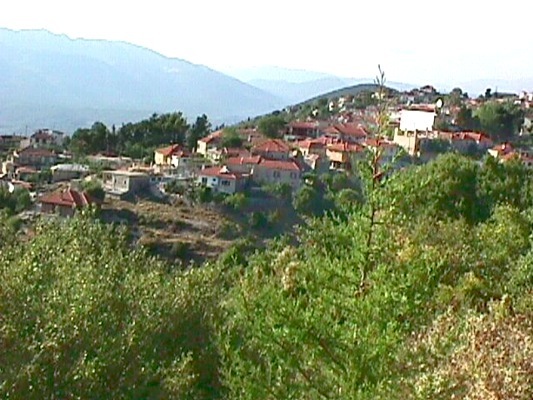 northeast to the city Arta, among the tops of Tzoumerka, on the foothill of the famous Kostilata. It is a beautiful mountainous village built at an altitude of 940 metres, among fir trees and plane trees with a lot of water and breathtaking waterfalls..
Ioannina is built at an altitude of 470 m., at the western bank of the picturesque lake of Pamvotis. 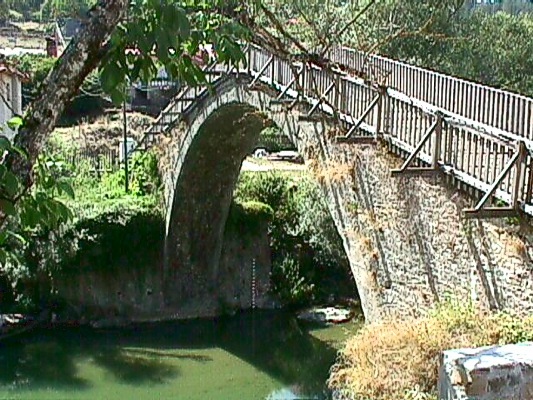 It is the capital city of the homonymous prefecture, but also of the whole province of Epirus. It is an important city and one of the biggest cities of the country. 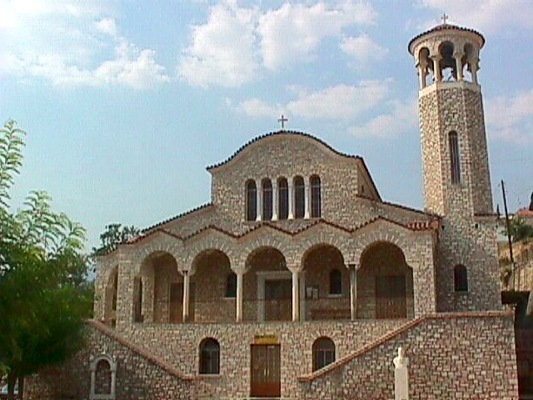 The name of the city probably comes from the monastery of St. Ioannis the Vaptist. Historians claim that the establishment of the city became by the Emperor Ioustinianos, who built a fortress near Pamvotis lake. In 1082 the city was conquered by the Normad Voimoundos. 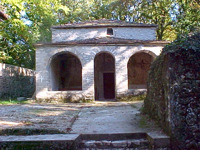 In the 1204 with the establishment of the Despotate of Epirus the city was developed a lot ecomically and it was an important cultural centre. Many benefits were given to its habitants. 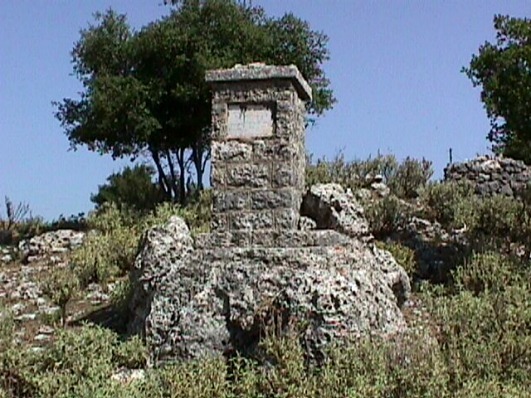 The last despot Karolos B’ Tokkos under the pressure and the threat od Sinan Passa abandoned the city in 1430. The habitants surrendered to avoid the battles and their benefits were continued during the Ottoman period with a peak moment the period of Ali Passia. At the period of Ali Passia the city developed a lot to every sector and it was one of the most important European cities. 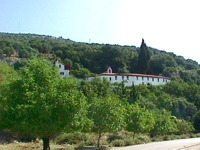 There were many schools at that period where many teachers and scholars taughts, such as: Methodios Anthrakitis, Neofytos Doukas, Ioannis Vilaras, Athanasios Psalidas, etc. 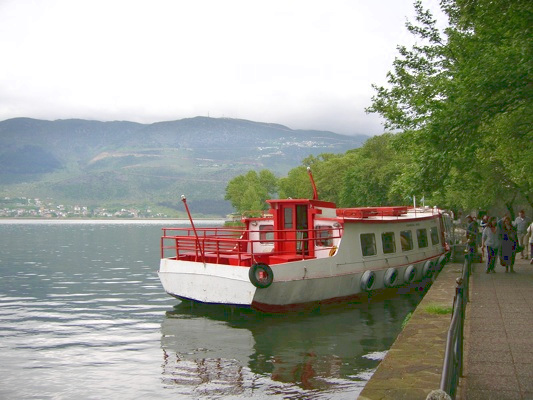 Today the city of Ioannina is a modern city with european characteristics, which is full of life and is famous for the entertainment and the nightlife that offers. The history and the tradition are obvious to every ccorner. The old city and the castle remind different periods, where dominate memories of its Byzantine past and but also of mondern history and is an alive memorial place. The city has two big hospitals, one of which is the university hospital and university. 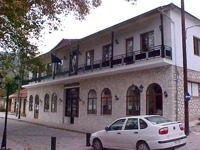 Ioannina has also a large number of night clubs, bars, restaurants, theatres, cinemas, etc. For your stay you will also find many hotels and rental rooms. The visitors will have the chance to taste the traditional sweets of Ioannina and the delicious traditional cuisine, of which main dishes re pies but also others traditional delicacies. The region is also famous for its silver art and jewellery that are produced here for many centuries with the same traditional ways. 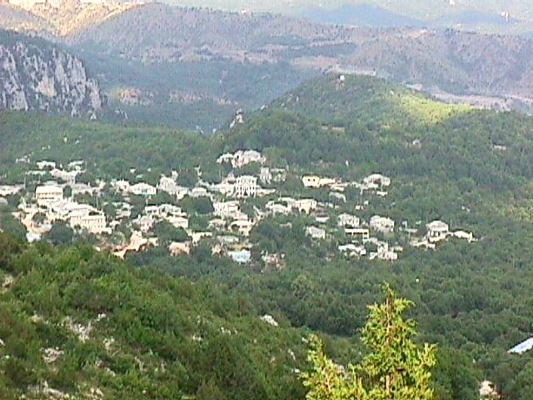 Kefalovryso is a village of the region of Pogoni, built at an altitude of 650 metres. 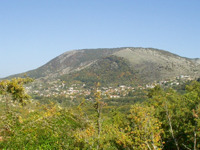 It is the seat of the Municipality of Ano Pogoni. It is also an important financial centre for the region of Pogoni because there is one factory of the 5 factories of the Greek Industry of Arms. 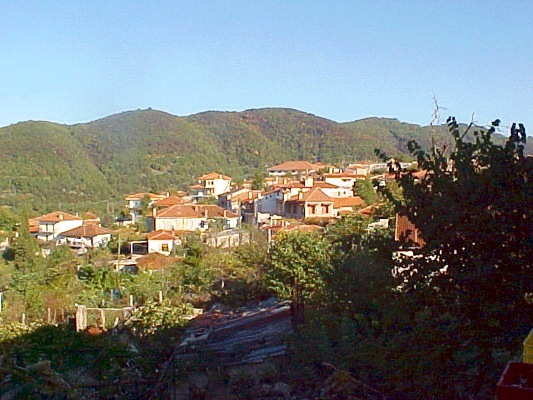 The village of Vissani in Pogoni is built at an altitude of 750 metres and is at a distance of 8 k. from Delvinaki. 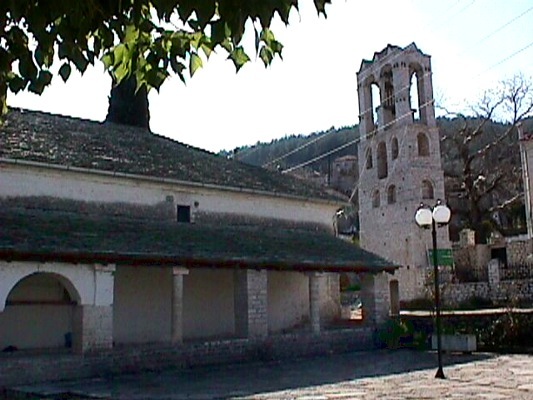 The village was founded during the 14th century, developed a lot and during the Ottoman period it was the cultural centre of the region of Pogoni. In Vissani there was a school before 1770 and here learnt how to read first Ali Passia. About the name origins there are many different aspects. The main one is that it comes from the word “Vissa” which means “pots of many successive trees”, something that is obvious due to the location of the village. Vissani was very developed, which is obvious due to the beautiful stone-built houses, the girls’ school, the greek school and the big church of St. Nicolas of the 18th century. 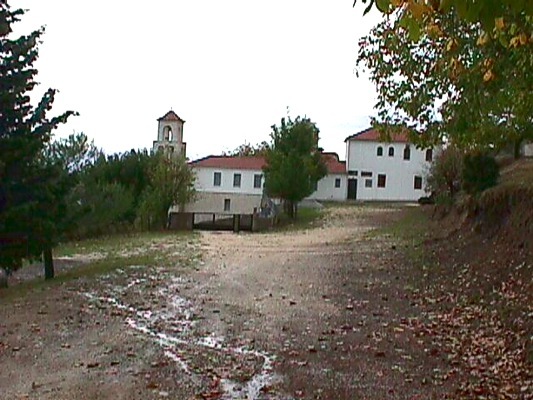 Near Vissani there is also the famous Monastery of Avel. 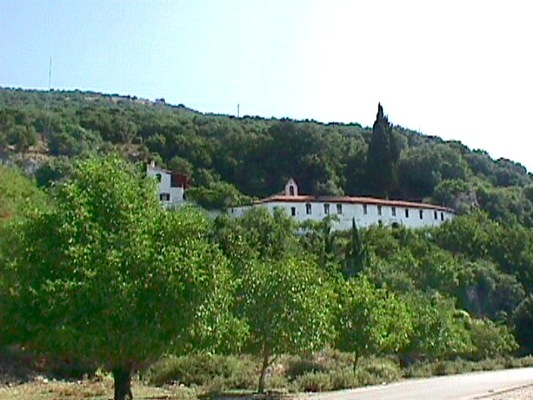 In the village of Palaiopyrgos in Pogoni there were found at the location of Paliouria archaelogical founds from the prehistorical era. 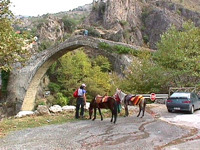 Near the village, there is also the stone bridge Gkretsi in the narrow gorge of Gormos and a traditional watermill, which has been characterised as a preserved monument. 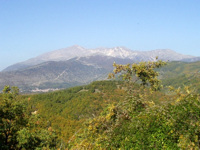 The region of Paramythia is located at the southeast edge of the prefecture of Thesprotia. It is a at a distance of 82 km. from Ioannina and 35 km. from Igoumenitsa and its port. 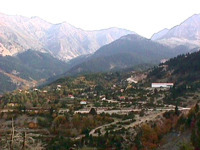 The town is amphitheatrically built on the foothill of mountain Koryla (altitude 1658 m.). On its southern part there is the fertile plain of Paramythia, which starts from the village of Neochori and ends up in Acheron river. In the heart of the town flows the small and known from mythology river of Kokytos, which according to the myth was shaped by the relatives’ tears of the dead people who were guided to Hades by Charon with his boat. There are many aspects for the origins of the name. but the main one is that is comes from the word Parigoritria (from the homonymous monastery of Virgin Mary that is was located in Paramythia), “Paramytheia” in ancient greek language. Above the town, the castle of St. Donatos stands imposing in a natural fortress. 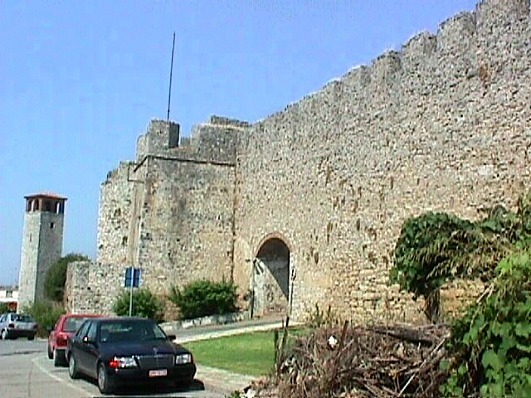 It took its name by the homonymous temple that there was in the castle and it was dedicated to Donatos, the bishop of Evria (4th century A.D.), who was the protector of the castle and the wider area generally. The first settlement in the region dates back to the Bronge Age (2.500 – 11th century B.C.) 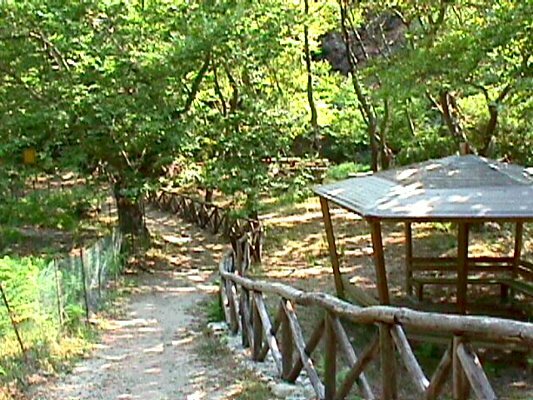 at the prehistorical location “Sardakia”, at the proximate location that is built nowadays the town of Paramythia.. Paramythia was an important commercial centre at the age of the Despotate of Epirus as long as at the Ottoman period. For the increasing of the little number of the Ottoman popuation, the Turks tried to make Islams the local population. 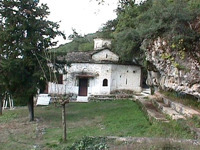 Especially after the unsuccessful revolution by Dionysios the Philosopher, Metropolitan of Trikki, (known as “Skylosopher”) in 1611, and until the decline and fall of Souli in 1803, the Christian habitants of Paramythia were kicked out with rage. The town, that was developed a lot until that moment, it was attacked by Ali Passia who sent away many Islam prominents who cooperated with Souliotes and executed many Christian persons. The Islam habitants of the town, who had turned to Islamic religion in their majority, spoke the Greek language, had almost the same customs and traditions with the Christian ones and knew a little about their religion. Besides many of them believed in Christian Religion in secret way. 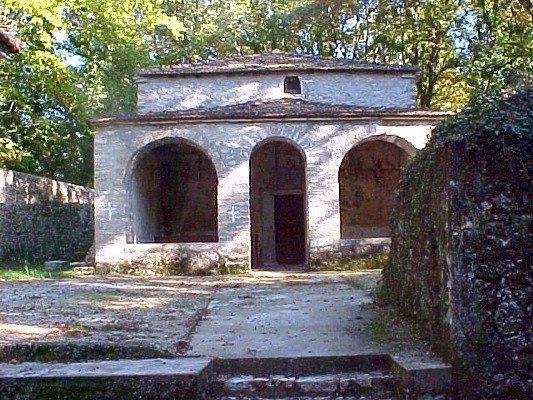 However, many churches of the region were turned into mosques. 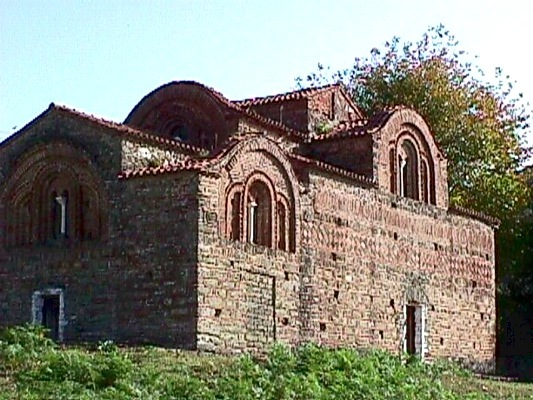 Only the byzantine church of Virgin Mary of Paramythia has been saved. 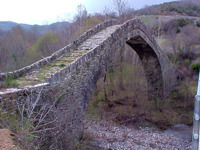 Paramythia was liberated by the Turks on February 23rd in 1913, two days after the liberation of the city of Ioannina. Despite the fact that the Christian habitants of Pramythia never created problems to the Islam habitants, the last ones cooperated with the German against the Greek during the period of the Second World War. The local people resisted with all their powers, but the price cost too much, 49 men were executed bu the German army. Nowadays the town is full of life and traffic. Its location and the fertile flatland is the main reason for its development. It has a lot of tourist infrastucture, state services, bank, etc. 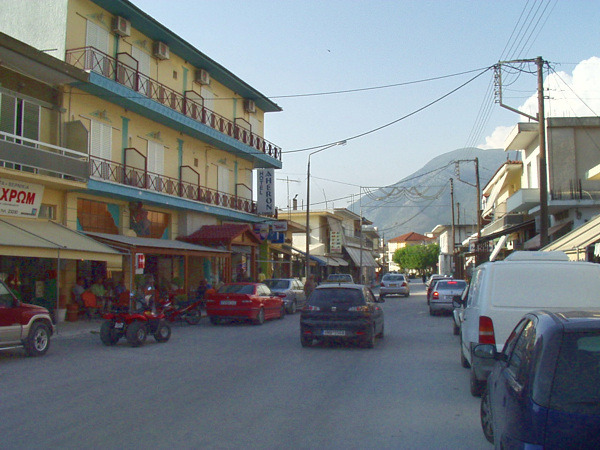 Egnatia Highway which crosses the region unites it with the rest mainland of Greece and will contribute to the additional development of the region. Margariti is a traditional settlement that it was built in 1438 by the Venetian at thee locations of the ancient city “Panaos”. 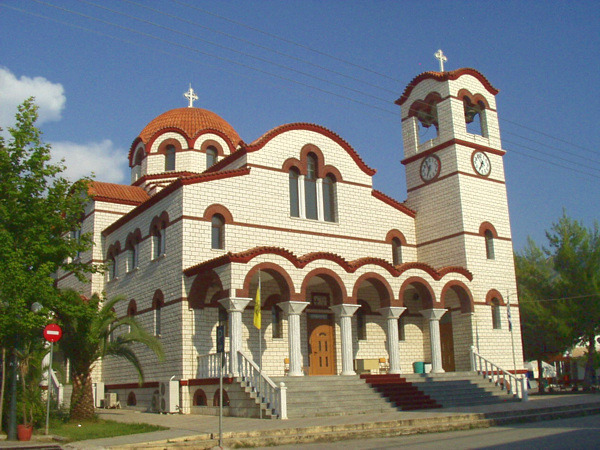 It is located on the national road of Igoumenitsa – Preveza, at the 32nd km. 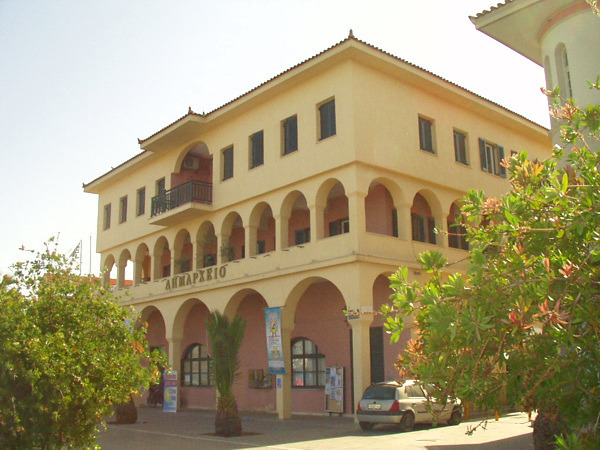 and is the seat of the homonymous municipality of Margariti. In 1549 the Turks built here the castle which was destroyed by the Venetian. The settlement was detroyed by the Turks during the revolution of 1733 and it was finally liberated by the Greek army on February 24th in 1913. It is the centre of many archaelogical sites of the region. 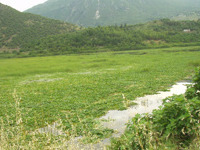 Near Margariti is located the swamp of Kalodiki, a wetland of large exntend. 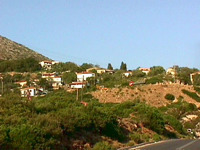 The traditional settlement “Skala”, where there are fortresses, an old fountain and desolate mansiosn, etc. Near Margariti is located the village of Glyki: It is about a traditional settlement at a distance of 54 km. from the city of Igoumenitsa. 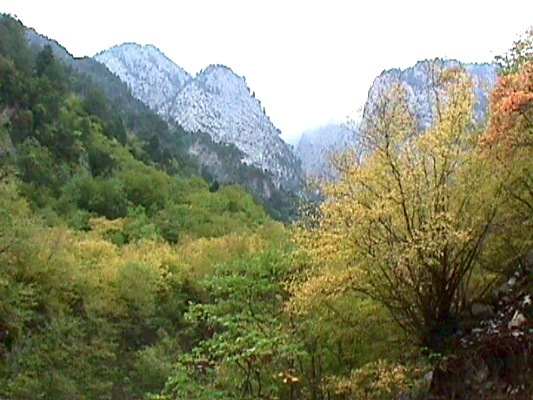 In the region of Glyki is located the beautiful gorge of Acheron river and its springs. 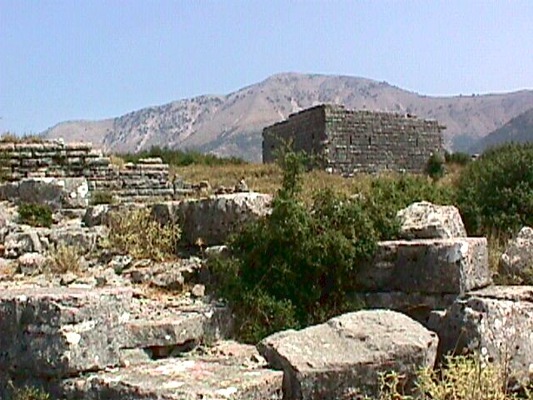 The citadel of Agios Donatos, with ruins of the walls from the 4th century B.C. The community of Melissourgoi is located at the northeast part of the prefecture of Arta, after the villages of Agnanta and Pramanta, at an altitude of 860 m. It is at a distance of 103 km. 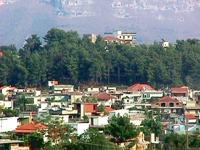 from the city of Arta. 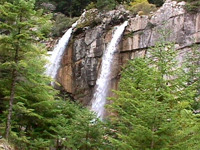 The big forest of fir trees in the location of Aetos, the springs with the cold water and the waterfalls above the village make it an ideal destination for vacation. 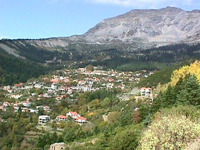 The picturesque Metsovo is located at distance of 57 km. from Ioannina and it is built on the slopes of Pindos Mt. It has a popoulation of 6.000 people and has all the necessary services and infrastructure. It is a popoular destination with a big tourist interest, especially during the winter months because it is a famous destination for winter vacation. Metsovo has preserved its traditional colour and it is famous for its local traditional products, such as wood curving products, hand-woven textile products, silverware products, but also the famous cheese “Metsovone” and many other dairy products. Significant is also the loyal continuation of the customs of the regiob, the rich music tradition and the language (vlach language). It is worth noting that the elder mostly of the region continue till today to get dressed in the traditional cotumes of the region. 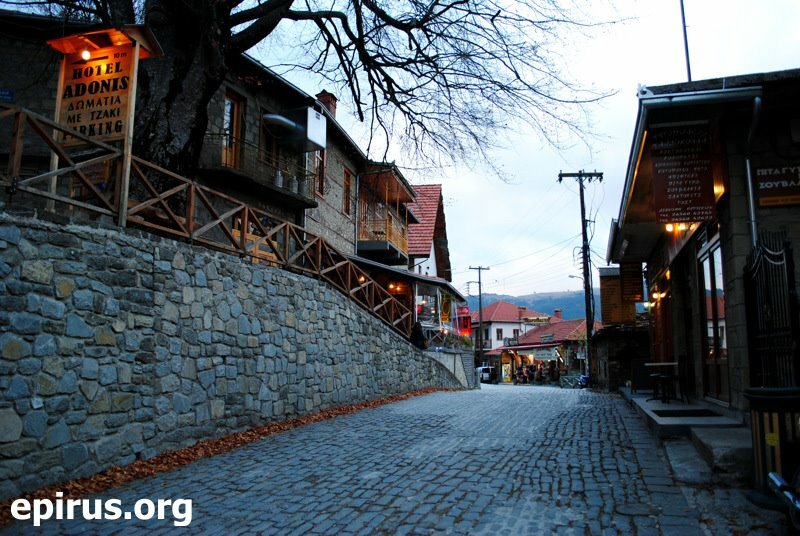 Metsovo is also famous for the local cuisine that includes dishes such ask: kontosouvli, pies, dairy products etc. 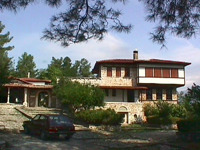 From Metsovo came from many great men, but also many great benefactors such as G. Averof, M. and Th. Tositsas and N. Stournaras etc. 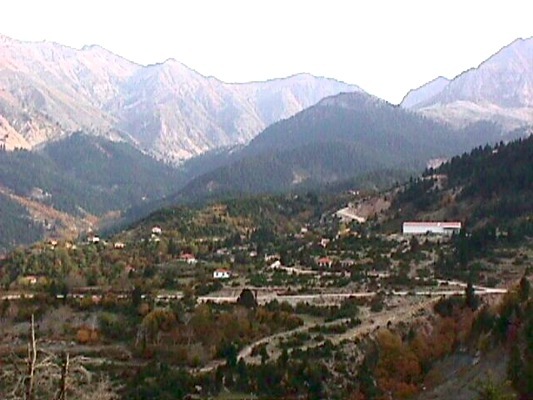 In the region of Metsovo haven’t been found any pre-historical founds that could give us clues about the settlement. The historians agree that the region was an important commercial pasage bfore 4 or 5 centuries, and a place for the supplies of the caravans. In 2.000 B.C. about according to the historical sources is mentioned the appearance of greek pastoral races. 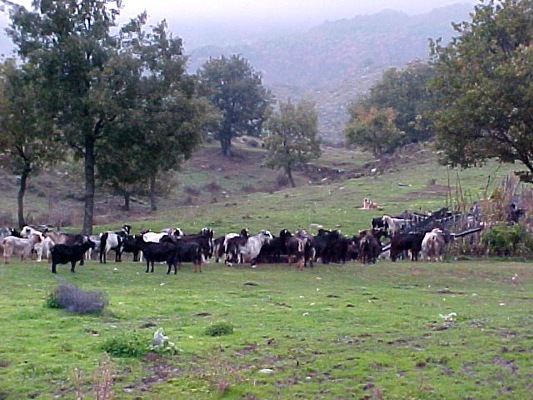 It seems that the region of Metsovo was an ideal pasture land for the shepherds from the ancient times. 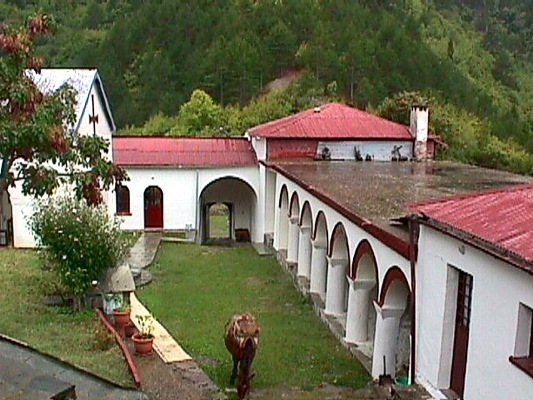 The habitants of Metsovo have nowadays large properties from the animal breeding. 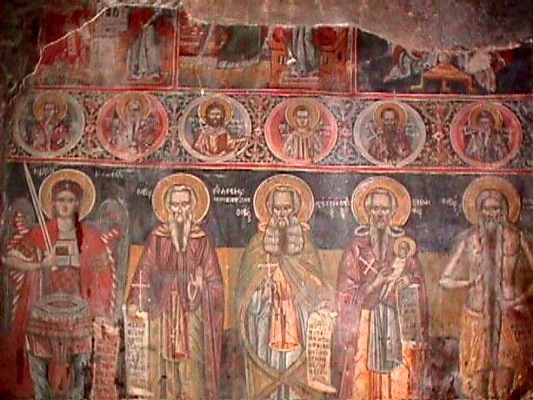 Historical mentions to Metsovo appear during the 14th century. 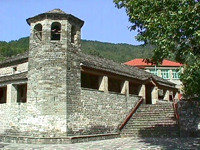 The name “Metsovo” appears for the first time to the chronicle of Brothers Filanthropinoi Komnimos and Proklos in 1380. Though according to the other aspect is considered that the name comes from the coalescence of two greek words middle + mountain, beacause of its location among two mountains. 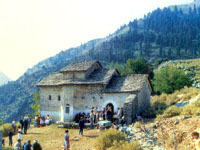 Metsovo was initially a settlement of shepherds. However, th privilege that had during the Ottoman period contributed to the dvelopment of art, trade and literature. These benefits were given to the habitants by the sultan Mourat B’ when the guards from Metsovo, who guarded the passage of Zigos made easier the crossing for the army of Sinan Passa, who directed to Ioannina. The sultan Mehmet D renewed these benefits, which included also the establishment of a semi-autonomous federation with the nearby villages of Anilio, Malakasi, Milia, Palia Koutsoufliani (Platanistos) Votonosi and Anthochori. In 1795 Ali Passia banned all these benefits, except for those that were given by the patriarchal Exarchia and they were preserved till 1924. On March 27th in 1854 Metsovo was totally destucted by the army of Avdi Passa, a fact known as “destruction of Grivas”. 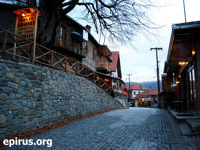 After the desturction many habitants emigrated, but they never forgot their homeland and gave many donations for the mansions of Metsovo, fountains, schools, churches, folk art museum, gallery, etc. 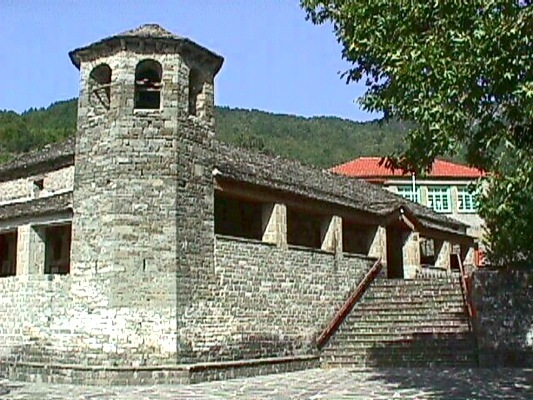 Metsovo was finally liberated from the Ottoman State on October 31st in 1912 by the general forces of Greek Army, and volunteers from Crete and Epirus. 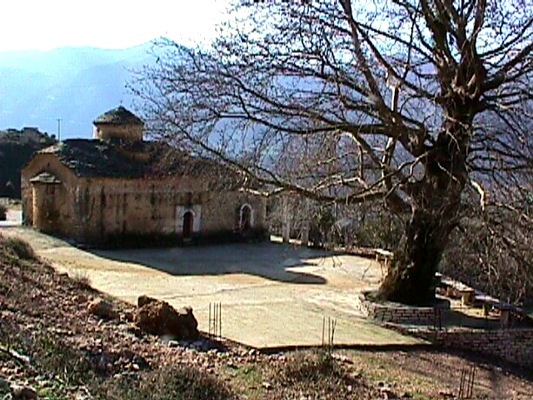 In Anthochori: Monastery of Kokkini Petra from the 17th century, watermill, mount Lakmos at an altitude of 2300 m.
Neochori is located at a distance of 13,5 km. 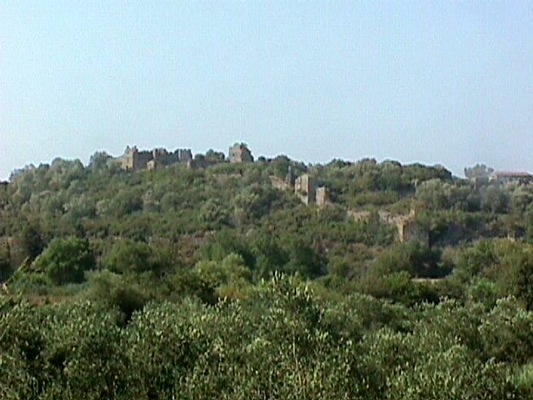 southeast to Arta and is built at a lowland. 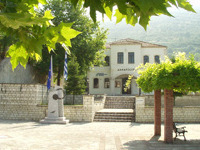 It is the seat of the Municipality of Arachthos. 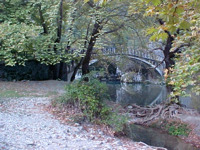 Near the village flows the river of Arachthos which after a route of 5 km. 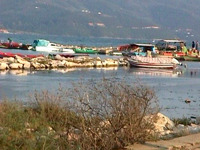 flows into the bay of Amvrakikos. The region is full of cultivation. Throughout this region there are many historical churches. 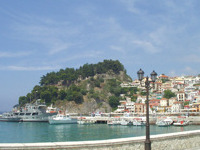 Parga is located at a distance of 68 km. 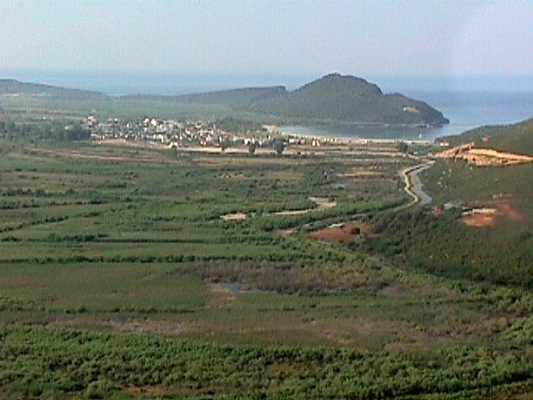 northwest to Preveza and 50 km. 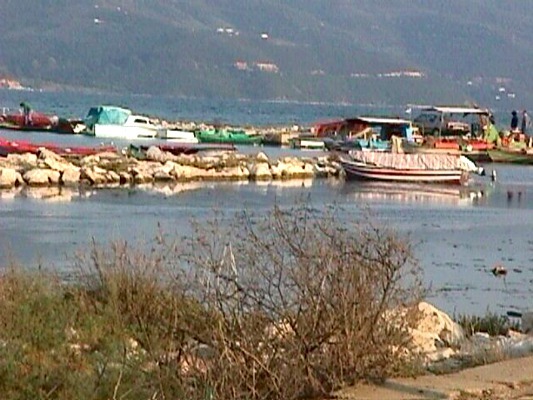 southeast to Igoumenitsa. It belongs to the prefecture of Preveza which id located in Epirus. 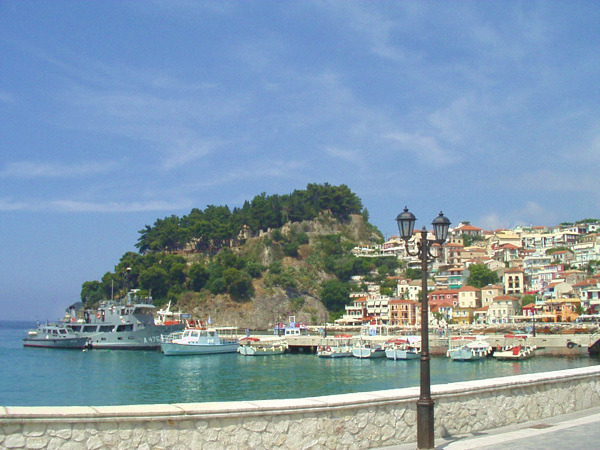 The city of Parga is amphitheatrically built and is one of the most beautiful summer resorts of this country. Many picturesque streets lead to the castle, to its shops, restaurants, but also to its many bars and night clubs that there are in the city. 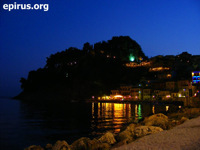 The whole picture of Parga with its picturesque bay, the beautiful little island of Virgin Mary and the taverns create a majestic atmosphere. This picture complete the exceptional beaches of the region: Kryoneri, Valtos, Lichnos, Sarakiniko, Ai – Giannakis. These beaches are fully organised and are oferred for many water sports. Every summer many tourists visit Parga, as it has now an excellent touristic infrastructurs with many hotels, rental rooms, camping, restaurants, bars, cafes and night clubs that leave the best impressions to every visitor. 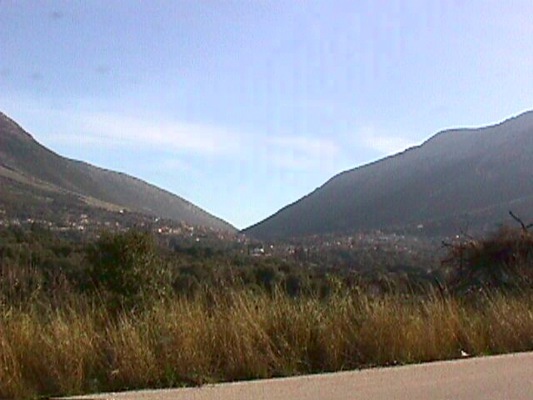 According to the tradition its habitants have been settled there from the settlement of Palioparga to Petzovolio, the opposite mountain, after a sign of Virgin Mary. It is said that her icon “left” all the time the settlement of Palioparga and the habitants have always found it on the hill that nowadays there is the castle of Parga. But also many arcaelogical items that were found into the settlement and the nearby region show that people lived here from the neolithic period. In 1337 the new settlement around the castle appears for the first time in byzantine documents. 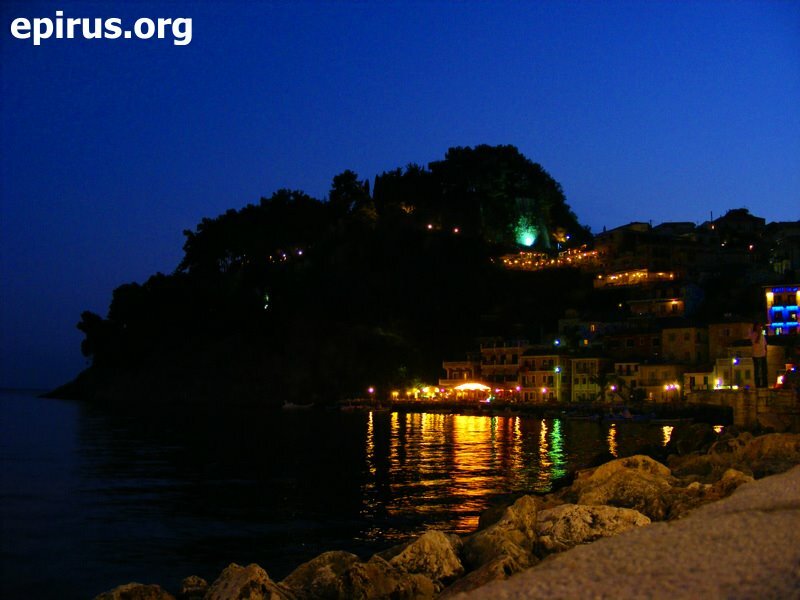 From the 15th century till the end of the 18th century Parga is an autonomous regions, under the protection of the Venetians. Because of its location and the prosperity of its habitants, it was target for many conquerors, but also it was target of the famous pirate Chairentin Barbarossa. In 1797 is conquered by the French and after by the British, that will give in to Ali Passia. Because of the help that it was offered by its habitants to the besieged Souliotes, they suffered the retaliations of Ali Passia and they were forced to abandon Parga. On April 15th in 1819, the day of Holy Frida, the habitants of Parga burnt their dead people and left for Corfu. Ali Passia was forced to bring the Turks and Greek from Epirus to stay in the devasteted city. 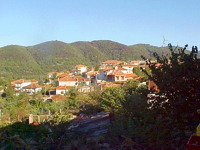 ΟThe native people of Parga turned back to their place after the February of 1913, when Parga was liberatedn by the Turks along with the rest part of Epirus. Perdika is a big village of the prefecture of Thesprotia, with very interesting history and a rare natural landscape. 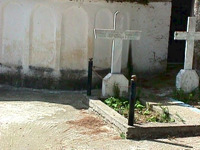 It is located between Parga and Syvota and accross Paxos and Corfu. 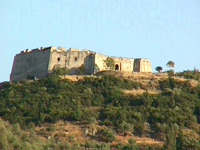 The community of Perdika includes the settlements of Perdika and Arrilas (old citadel). In the costal zone, and near the beach of Karavostasi, you can see the river with its centenarian plane trees, the citadel of Dymokastro (two same castles), which was a colony of the ancient Korinthioi. 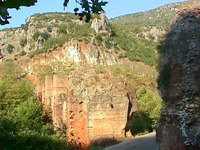 Dymokastro is the ancient city of Elina. Recently in this region have become excavations, which are continued at the present. The settlement of Arrilas has a beautiful big beach, one of the most beautiful in Greece with crystal clear water and golden sand. 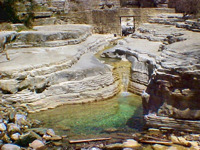 This settlement got its name by the Roman general Arrilas who died in this water and his grave is in Dymokastro. Preveza is located at the place of the ancient city of Vereniki, which was built by Pyrros, the king of Epirus, in 290 B.C. 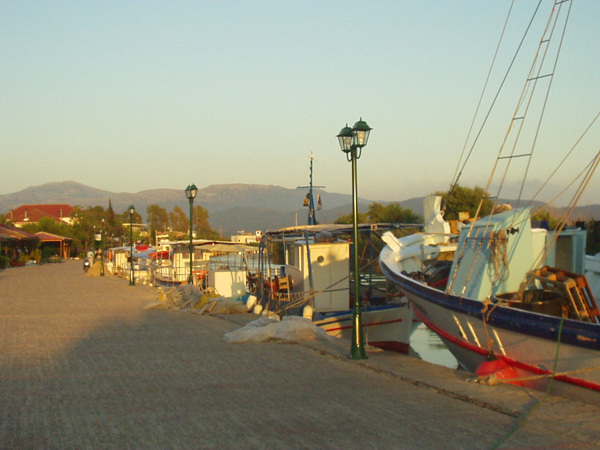 The name of Preveza appears for first time in the book “Timeline of Moreos” in 1292. 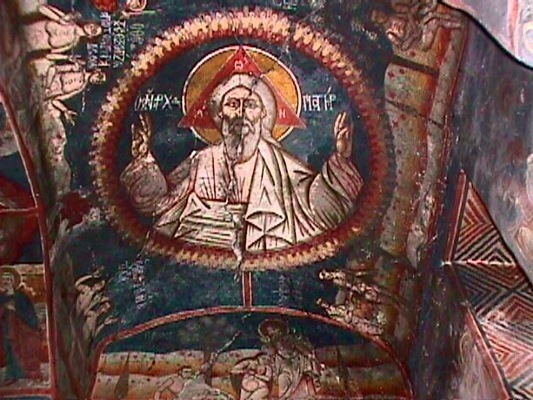 It was created in the end of the 11th century after the desolation of Nikopolis. Throurghout its history has known many conquerors. In 1490 it was conquered by the Venetians and in 1699 it was capitulated by the Turks.. 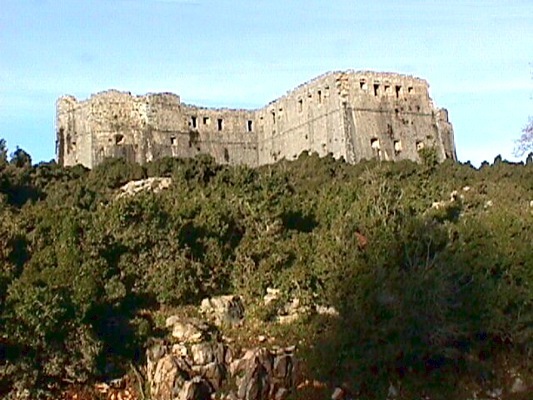 In 1797 it was conqured by the French and one year after by Ali Passia of Ioannina. It was liberated on October 21st in 1912 and merged into the Greek state. 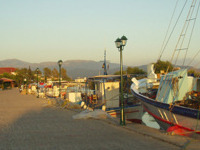 The city is built on the edge of Amvrakikos bay accross Aktio and near to the ancient Nikopolis. The city has its own special colour, reminding an island. 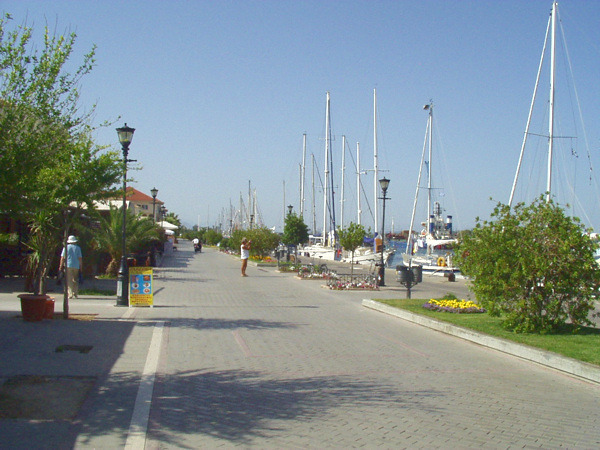 It is the administrative, commercial and cultural centre of the prefecture of Preveza. 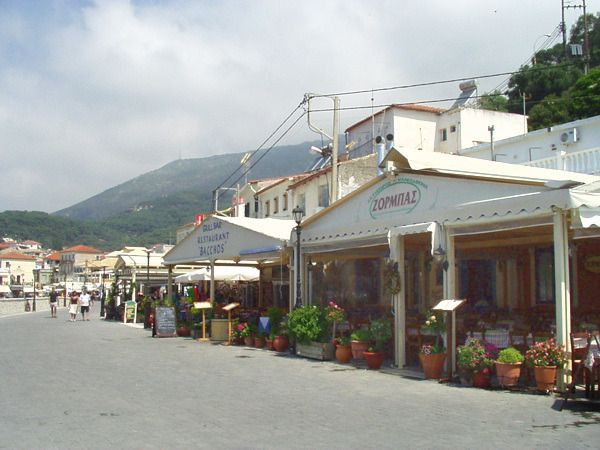 At its port there are many traditional buildings and in its centre there are in its narrow streets many picturesque taverns and traditional cafes. 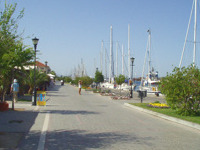 ΕPreveza is a modern city with all comforts and with a rapid and increasing touristic development. The cultural and the artistic tense is very intense and many conferences and exhibitions take place here every year. In this city has also lived Karyotakis, greek poet. On August, every year, is organised by the municiplaity the famous “fest of sardine” but also many other events. 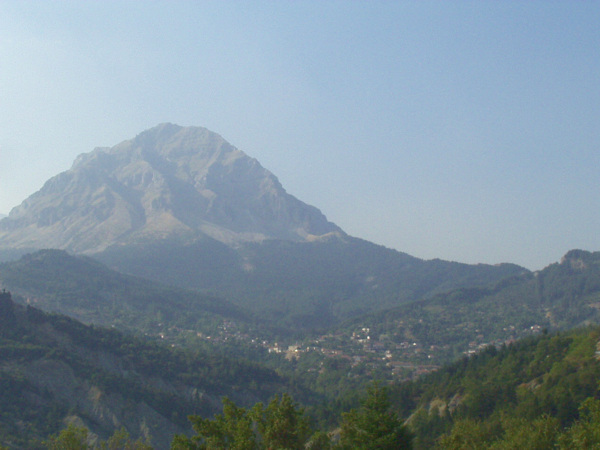 Pogoniani is located at the northwest part of the region of Pogoni at an altitude of 750 metres, near Delvinaki. During the Ottoman period it was the adminitrative centre of the part of Avlona of the Ottoman Empire and and the seat of the bishopric till 1863. Pogoniani was an important commercial centre during the past years which is obvious to the old buildings and to the centre of the community that once it was an impotant trading centre of more than 60 shops. 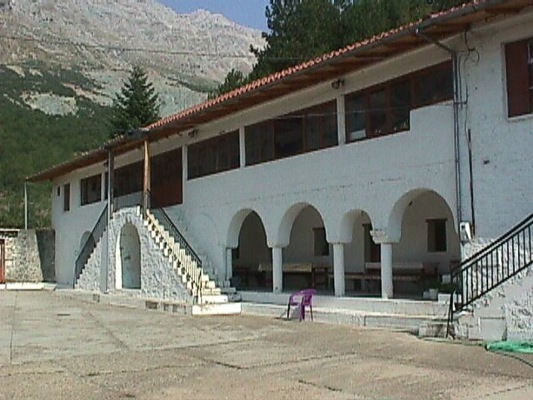 ΣIn Pogoniani nowadays there are boarding schools and educational institutions for the homogeneous people of North Epirus that they were built by donations. The thick forests of the area around, which attract many hunters but also many lovers of nature. 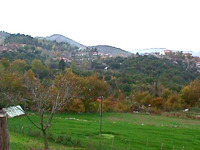 Dolo is a traditional village of Pogoni. Nearby the viilage there is the famous gorge of Kouvaras, into which runs the homonymous river. You can cross it by following the marked path. 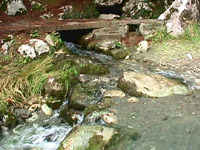 At the beggining of the gorge, at the location of Ksylogefiro, there is a watermill and a small stone-built bridge, known as the “bridge of Nonoulo”. Significant is also the church of St. Nicolas that is located at the village. It has a big hall and incorporated belltower of two zones at its south side. 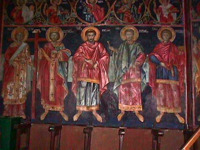 The older wall paintings of the church are creations of the painter Kouros from Dolo. Kakkolakos village is located at the foothill of the mountain of Nemertsika at the north part of the region of Pogoni. 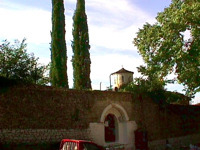 It was the capital city of Pogoni during the Ottoman period. 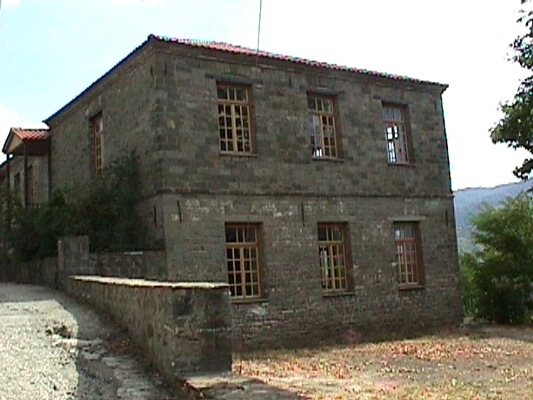 Here it was also the administrative centre of Markos Botsaris from Souli from 1814 to 1820. 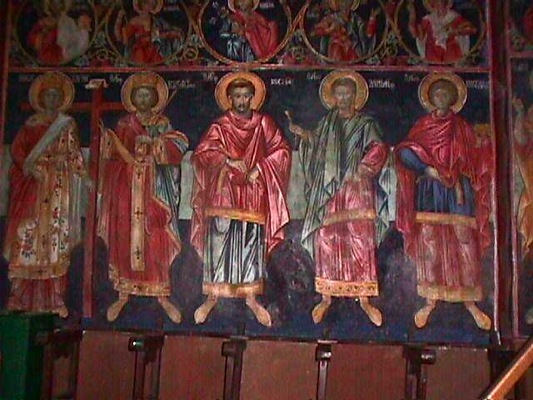 The family of Botsaris funded the construction of the wooden iconostasis of the church of St. Dimitrios. 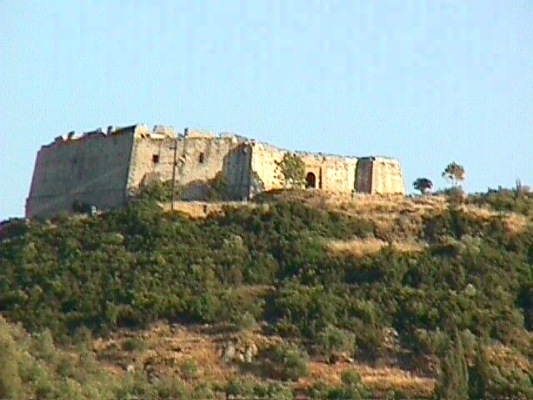 It is about a mountainous region that was the inaccessible fortress for the Turks during the revolution of 1821. In this place lived the warriors who showed discipline to their leaders, their confidence, their courage and their free spirit, the warriors who were praised by the folk music and songs. 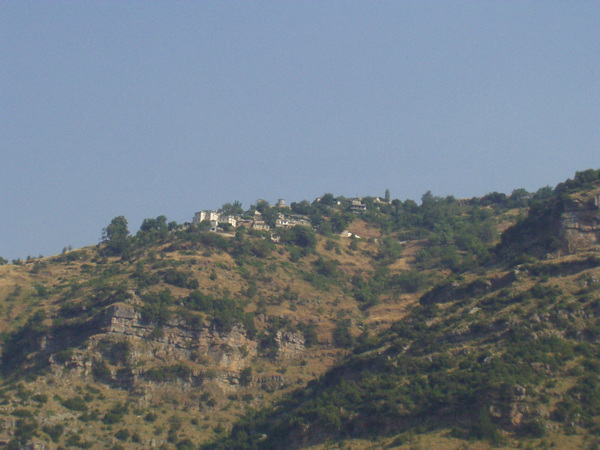 The families of Tzavellas, Botsaris, Zervas, the monk Samouil: names connected to the fights against the Turks in legendary Souli. Built between the mountains of Mourga, Zavrocho and Troulia was a shelter for people after the destruction by Romeo Aimilio Pavlos. 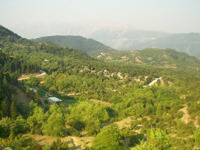 At the beggining included only the villages of Souli, Avariko, Kiafa and Samoniva, known as Tetrachori. Later it was renamed as Eptachori (on its big prime it led about 80 villages) and in the middle of the 18th century it had a population of 6.000 and 1.700 of them were armed. It was the target of the Ottoman Empire and Ali Passia who conquered finally on December 15th in 1803, after long and many military campaigns and fights. 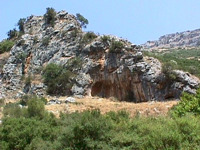 It was conquered after the explosion of Kougki by the monk Samouil. Every year, the last Sunday of May take place in Souli events in the memory of its fighters, the sacrifice of the women on the mountains of Zalogo but also in honour of the explosion of Kougki. 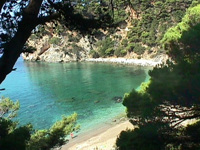 Syvota of Thesprotia is a picturesque village on the coasts of Ionian Sea. It is located just half an hour from Igoumenitsa (capital city of the prefecture of Thesprotia where it belongs) and is the most famous resort of the region. 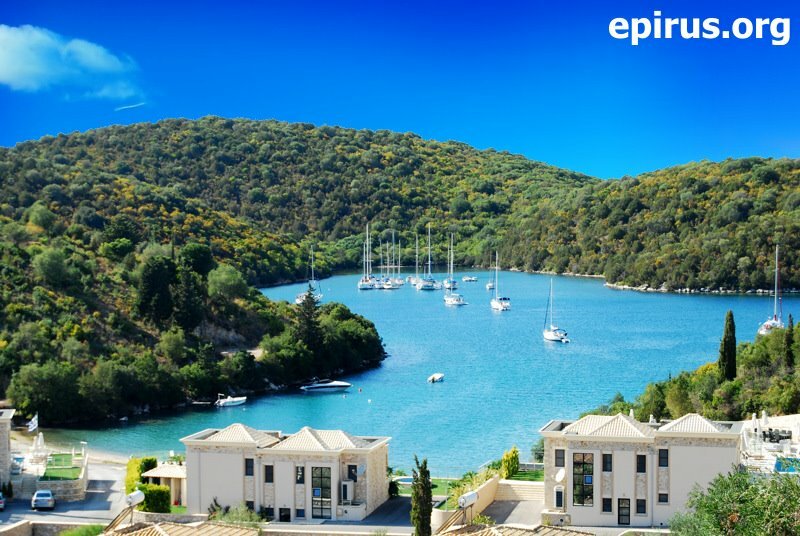 Syvota is built in a magnificent landscape: green hills around a majestic gulf, little isalnds that remind the norwegia fjords, crystal clear waters and clean beaches justify absolutely the fact that Syvota is place of attractions for thousands of tourists every year from Greece and abroad. 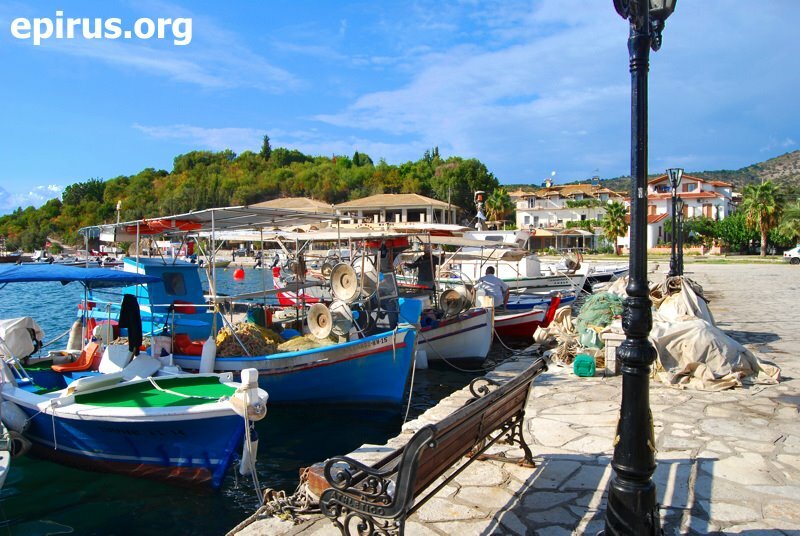 Syvota is known from the ancient times, as the historical research connects the little islands at the gulf of Syvota with those that Thucydides refers calls as “Syvota islands“, between of them took place in 433 B.C. a battleship between Korinthiois and the habitants of Corfu during the Peloponessian War. 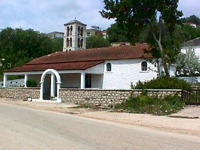 Syvota from a rural village that is was till recently, has become the last few years an important summer resort. 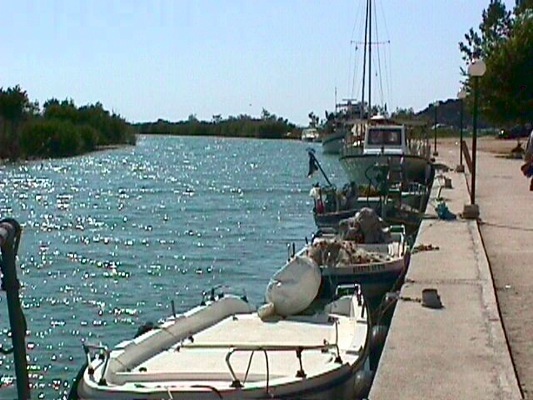 The beautiful beaches Mega Ammos, Mikri Ammos, Bella Vraka etc., the fully organised harbour and the excellent tourist infrastructure attract many local and foreigh tourists. Syvota offers many choices of entertainment to the visitors, such as diving, sailing, trips to Paxos, Parga and to the nearby villages. It is truly a gifted region by the nature that impresses every visitor. 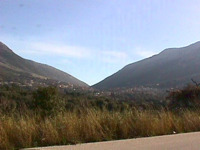 Asprochori is located at the east part of the prefecture of Arta. 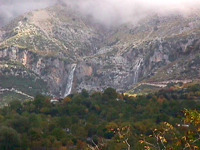 Its distance from the capital city of the prefecture, Arta, is at 52 km. 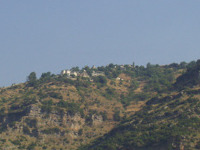 It is the seat of the Municipality of Tetrafyllia. 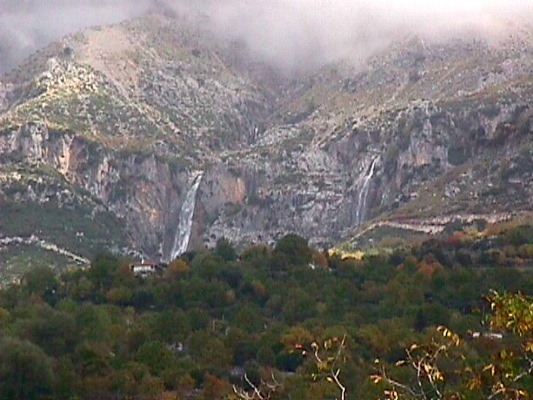 In the wider area you will have the chance to see many sights of the mountainous part of Arta. 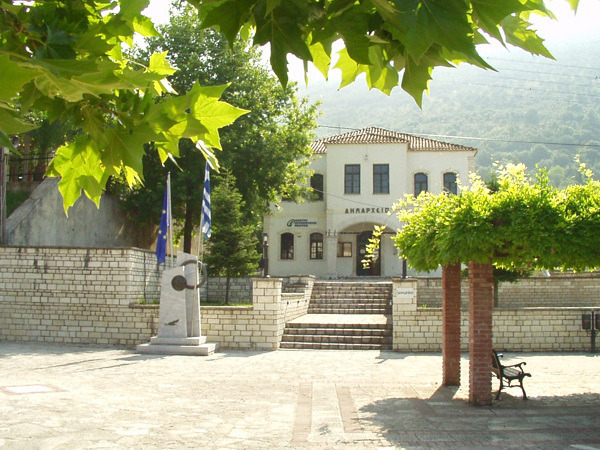 Filippiada is a beautiful town of the prefecture of Preveza built on a hub point between the prefectures of Preveza, Arta and Ioannina. Filippiada is identifies to the ancient city Charadros, which was developed during the 7th and 8th century B.C. and the ruins of it are located in Kastri. Filippiada owes its name to the love of its habitants for the horses. 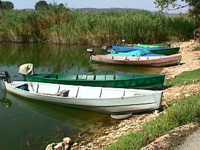 Filippiada is also famous for the large number of storks that accepts every year. The habitants tried to create the ideal conditions for the living of the storks and so the storks come to Filippiada every year and stay the whole summer in this town. The storks are now the symbol of Filippiada. The town has literally a fertile plain. That’ s the reason why its habitatnts occupy with farming and stock-breeding. Especially, the last few years have been created in the region big units of stock-breeding products processing and animal breeding units, pushing the local economy and the development in the wider area. 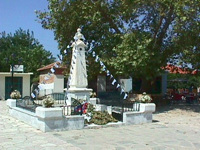 In Filippiada worths visiting the significant churhes of St. Athanasios and St. Varvara that date back to the 18th. century. 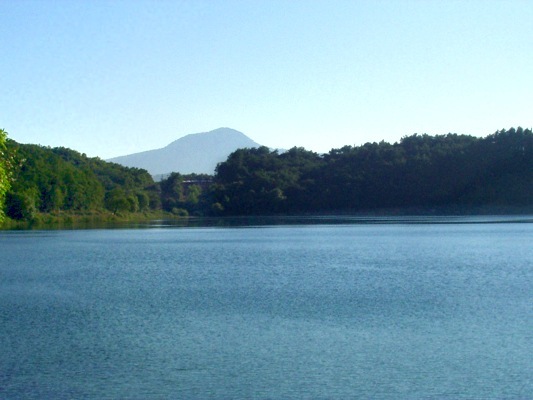 The beautiful forest that surrounds the town and the magnificent lake of Zeros, which is located nearby, will leave you the most beautiful impressions from Filippiada. 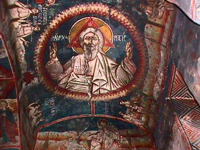 In Petra: Church of St. Kiriaki, Castle of Rogoi at the location of the ancient Voucheti (colony of Ileioi). 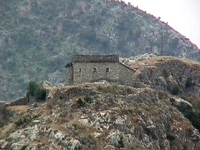 In the castle is also saved the temple of the monastery of Virgin Mary of Rogoi. 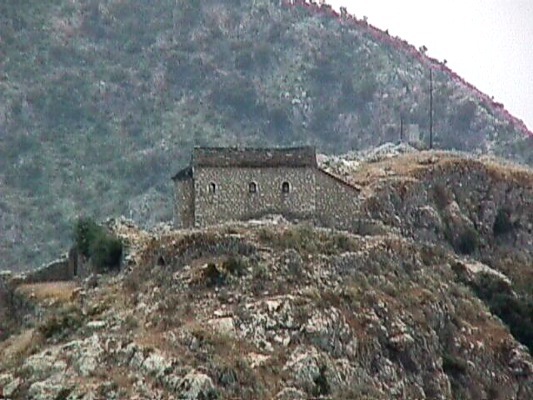 In Nea Kerasounta: Monastery of the Prohet Elias, but these days is not open to the people. 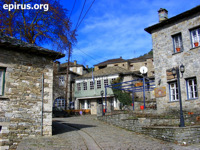 The village of Filothei: It is a beautiful village with beautiful streets and significan byzantine churches. 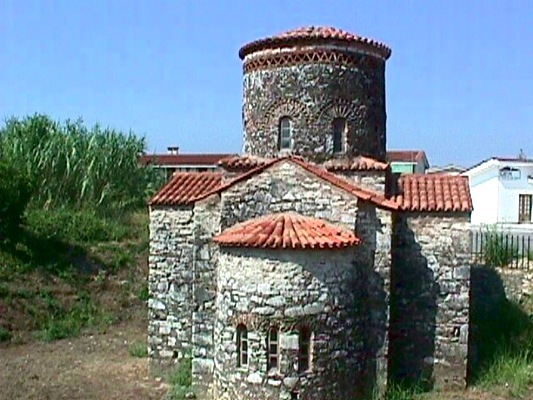 In the villages of Plisioi: The byzantine church of St. Dimitrios Katsouris, one of the most ancient byzantine monuments of Arta dated bact to the 12th – 13th century. Peta is located 8 km. 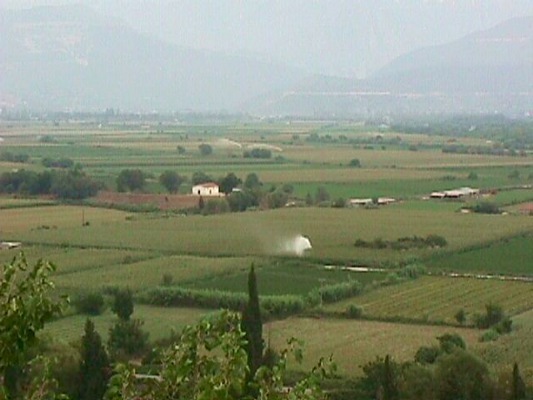 at the east part of Arta, on a wholegreen hill full of olive trees and citrus. It is famous from the battle of the 1822 against Ottoman, where there were killed 80 Είναι γνωστό από τη μάχη του 1822 με τους τούρκους όπου έπεσαν και 80 Philellines. 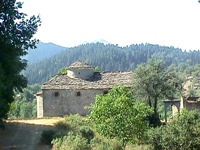 In the region Vourgareli (Drosopigi) there are many significant villages that have very important sights of all kinds for the visitors. 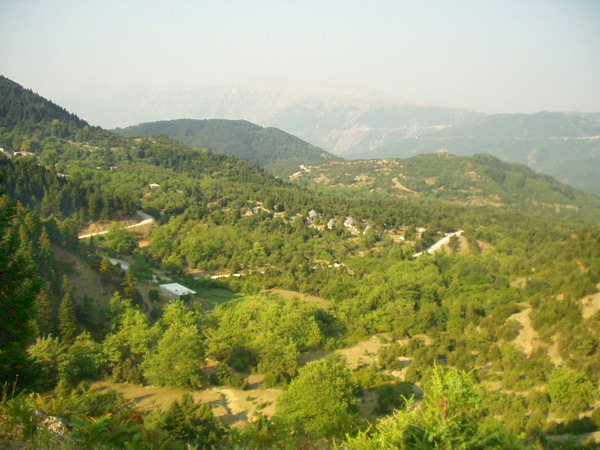 The region is located at the north part of prefecture of Arta and has some of the best forests in the prefecture. In Athamanio: Watermill in Ano Athamanio, watermill in Kato Athamanio, Bridges (of Megali Vrysi, Tsagaraki, Mega Lagkadi and Plateia). 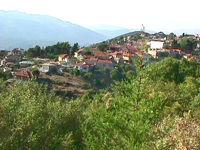 Athamanio is the biggest village of Tzoumerka and is constantly developed. 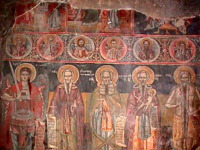 In Kypseli (Ramia): Traditional buildings, folk art museum, Monastery of Evagelistria with rare wall paintings. In Mesounta: Traditional stone arch, restaurants and cafes into an endless forest of fir trees. 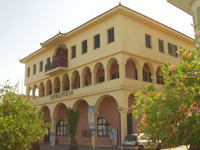 In Distrato: Folk art museum, monument of the national resistance from the era of Second World War at the location of Trapezaki, old listed buildings. 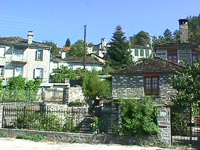 In the region of the basin of Ioannina there are many significant villages. These villages have many sights and monuments to show to every visitor. 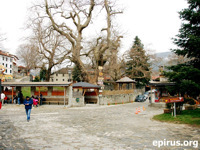 The little distance taken for granted from the city of Ioannina, the capital city of Epirus, these villages are an excellent destination of trips for the visitors of the city. In Logades: Church of th Dormition of Virgin Mary of the 17th century, Monastery of the Birth of Virgin Mary of Dourachani. The monastery was built in 1434 by Dourachan Pasa because he passed with his army over the frozen lake and he believed that it was a miracle. In Rodotopi: Temple of Zeus, post – byzantine church of the 17th century with a beautiful belltower, folk art museum and an old school. Tsepelovo is located at a distance of 51 km. 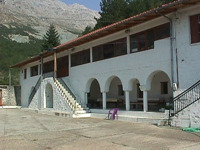 from Ioannina and is built at an altitude of 1.080 m. It is famous from the 16th century and here opened the fisrt school in 1700. In 1868 was the capital city of the Ottoman administration in Zagori. By the donation of benefactors were built buildings, schools, mansions and fountains. 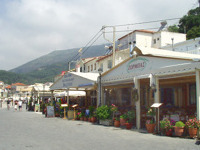 The village accepts a big number of visitors every year and has an excellent substructure of guesthouses and restaurants for the visitors’ service. 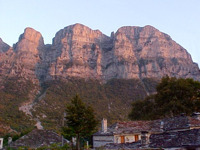 Monodendri is one of the most beautiful villages of Zagori, built at an altitude of 1060 m. at a distance of 39 km. from Ioannina. Its name came up from a big fir that there was in the village until 1840, Until 1753 it was a community separated in three unities (Vitsa, Ano Machalas, Agios Georgios). The viallge developed very much during the 17th and the 18th century, where the benefactors filled it with mansions, churches and schools. From Monodendri come from the benefactors Rizaris brothers. It is about a viallge that gathers the majority of the visitors in the whole Zagori and has many significant guesthouses and restaurants. 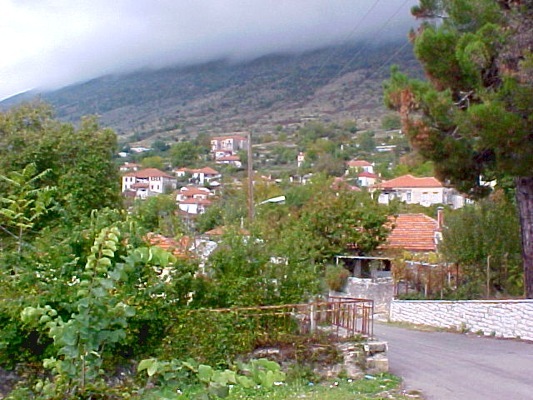 Papigo is one the most beautiful villages of the western Zagori and is located at a distance of 62 km. from Ioannina. 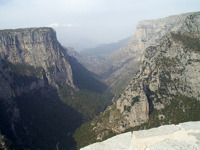 It is built at an altitude of 980 metres at the foothill of Astraka. 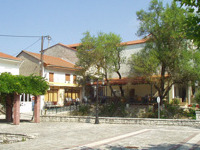 The village is built from the 14th century and has two residences, Mikro Papigo and Megalo Papigo. Many benefactors donated the region with buildings, mansions, churches, schools, etc. 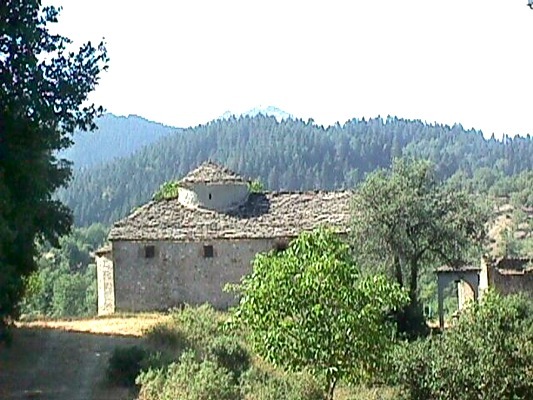 The buildings are stoned and based on the traditional architecture of Zagori. This fact gives to the village a special traditional colour. 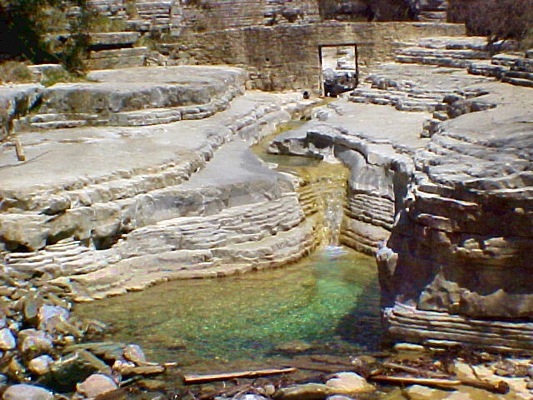 Stone streets and paths that lead to monasteries and churches, to the springs of Voidomatis, to fountains and faucets, to the natural swimming pools of Rogovos and the lodge of the Trekking Club of Astraka. Papigo is characterised the last years as a traditional villages and has many tourists and trippers every year. 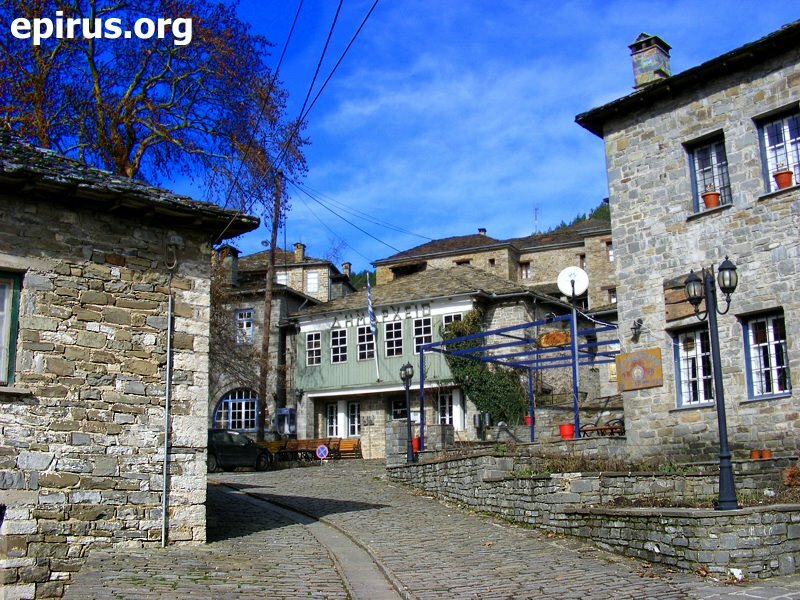 In the village there is and excellent substructure with many hotels and guesthouses that preserve the traditional colour and the architecture of Zagori. It is considered as one of the most beautiful traditional villages of Greece. 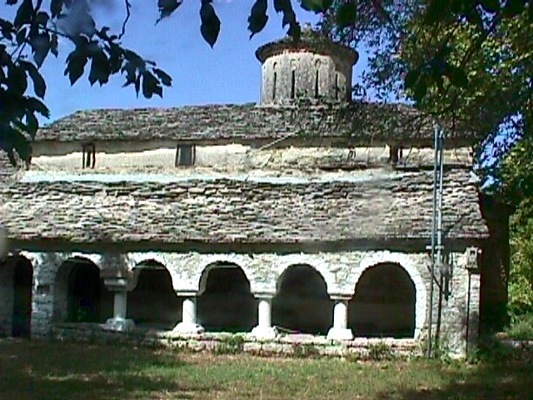 In Mikro Papigo: Astraka, Church of St. Taxiarches of the 19th century, Rogovos ovire (natural swimming pools), mountainous shelter in Astraka at an altitude of 1950 metres, Drakolimni at an altitude of 2200 metres. 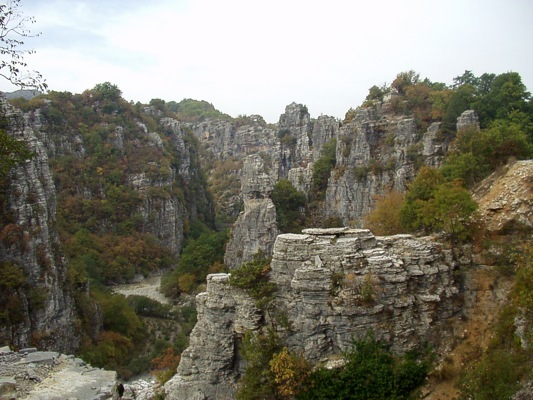 One of the most representative villages of Eastern Zagori is Greveniti which is located at a distance of 44 km. 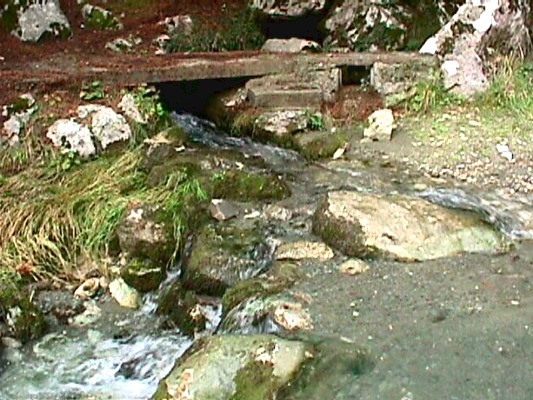 from Ioannina and is built at an altitude of 980 m. It has a great view, it is plenty of nature and flow water. 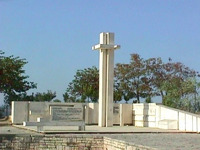 Many habitants were killed by the Germans during the Second World War and in honour of them there is a marbled column with their names at the entrance of the village. The habitants that today live permanently in the village occupy mostly with the animal breeding, logging and beekeeping. 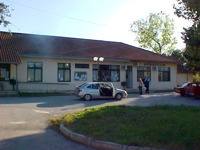 The visitor can find in Greveniti a medical centre, shops and guesthouse. The last few years there is a big number of tourists that visit the village. The region of Fanari is located at distance of about 45 km. from the city of Preveza, the capital city of the prefecture. The centre of the region is Kanallaki, where is situated the municipality of Fanari. 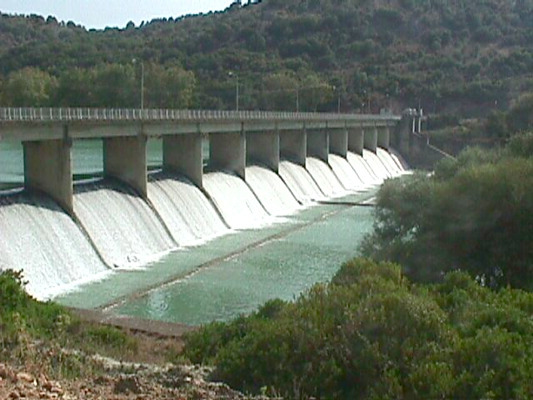 The region is characterised by the river mouth of Acheron and by the plain of Acheron. 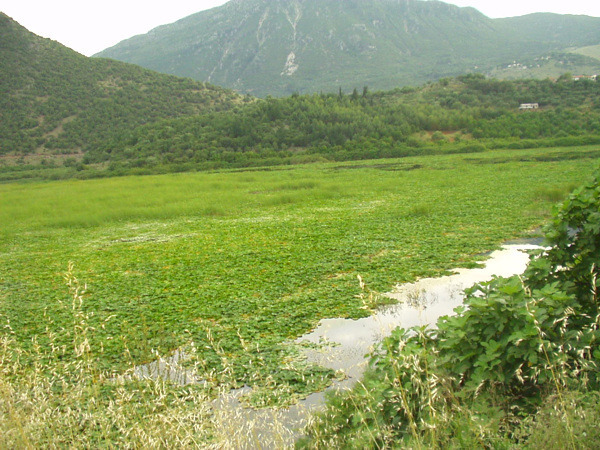 This region is located at the south east part of the prefecture of Ioannina. 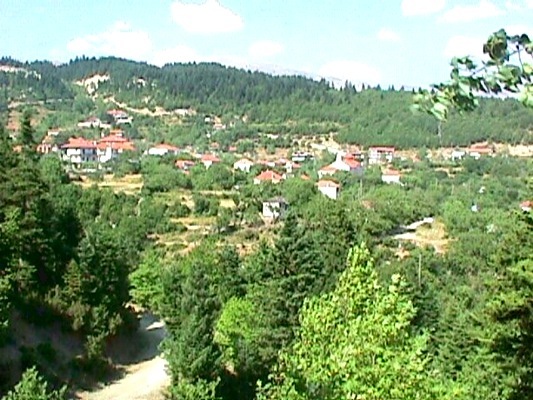 It is characterised by the landscape changes but also by the high and snow covered mountains, the “proud Tzoumerka”, like is mentioned the region by the folk tradition. 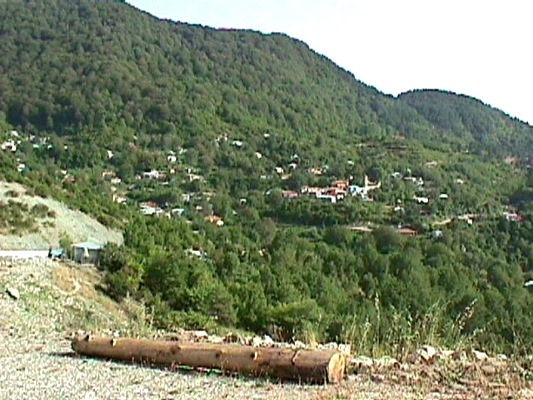 At this area also is located the region of Katsanochoria. In Syrrako: Church of St. Nicolas with beautiful icons and brocade epitaph, Church of the Dormition of Virgin Mary of the 19th century, Church of St. George of the 1817, Church of the Metamorphosis of Christ, Monastery of Prophet Elias of the 19th century, Church of the Apostoles at the top of Priza, house – musuem of Avdikos etc. 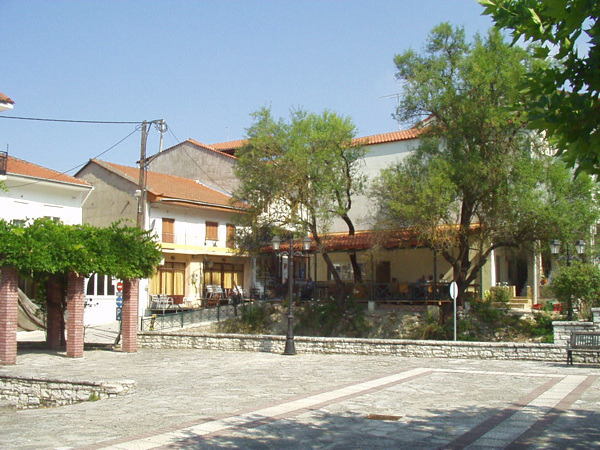 The region of Lakka Souli includes many interesting villages of the prefecture of Ioannina. 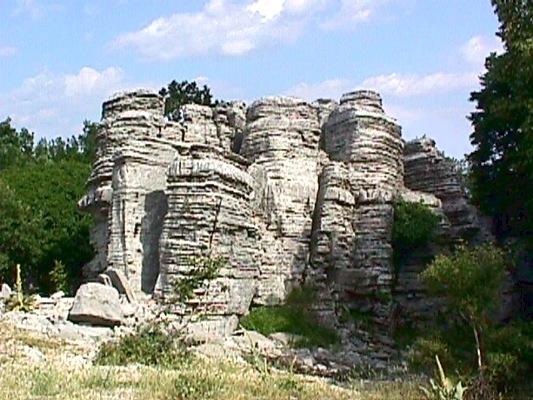 One of the most famous monuments of the region is the Ancient Theatre of Dodoni with a history of centuries, from the ancient time till nowadays. Except for the ancient theatre, there are also many other monuments, post – byzantine and modern. 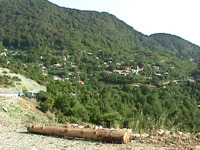 In the region of Konitsa except for the homonymous town, there also many important villages. In many of them there are interesting sights, of all kinds: Monuments, buildings, museums, traditional bridges, monasteries and churches, etc. 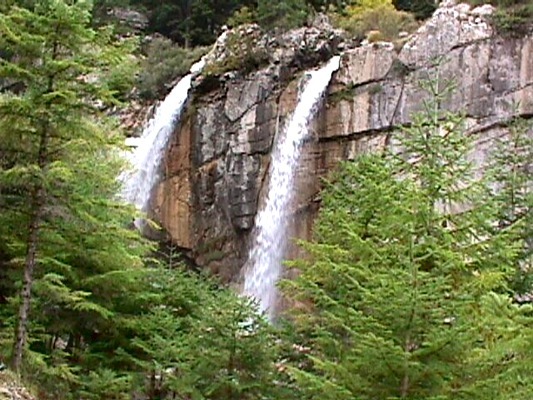 The region is also famous about its mountains and forests. 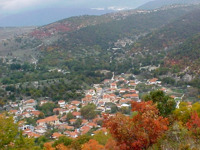 Thesprotiko is a town that is located at a distance of 38 km. north to the city of Preveza. 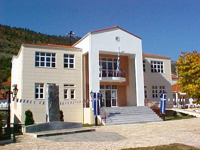 It is the seat of the Municipality of Thesprotiko. It is about an alive villages of farmers and shepherds, full of life and shops. Church of the Birth of Virgin Mary of Lampovitissa, a big stone church of 1797 with wall paintings and a wooden iconostasis. Archaeological site of Kokkinopilo, 1 km. from Thesprotiko. Here there were discovered 1500 stone tools of the year 35.000 B.C. 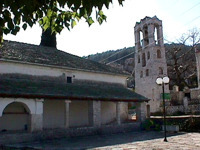 In Rizovouni: Ancient colony of Ileioi (Vaties) of the 8th century B.C., monastery of the Dormition of Virgin Mary of the 1095 A.D., Church of St. Paraskevi (built on a rock) of the 1025 A.D.
Zitsa is built onto a ridge at an altitude of 670 m. and is located at a distance of 24 km. from Ioannina. It is famous for its amazing vineries and its wines (designation of origin). It is the historical seat of the homonymous municipality. In 1809 Lord Byron visited it. The region of Zalogo – Preveza, beyond its long history, it offers also many interesting sights to its visitor. Monument of Zalogo: Here in the location of Stefani above the monastery of St. Dimitrios fell from the rock 63 women of Souli with children hunted by the Turks, in 1803. You can visit the monument by hiking from Kamarina.